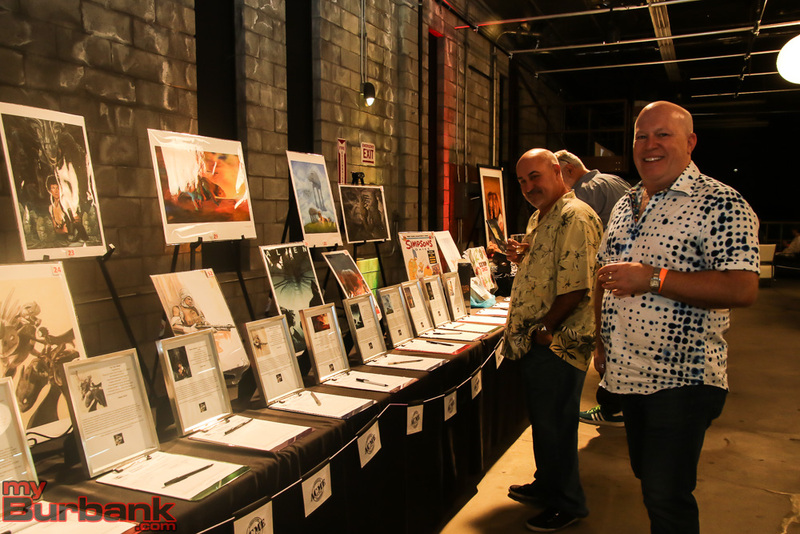 The Burbank Arts For All Foundation held its “Party for the Arts” gala fundraiser last Friday at the Globe Theatre at Universal Studios Hollywood, honoring NBCUniversal, Guy Myers, and Penny & Michael Zambrano. It was also a celebration, and the capacity crowd of 450 had much to cheer about. Since the Foundation’s founding in 2006, 19 Burbank school campuses have received 290 Foundation grants totaling more than $482,000. 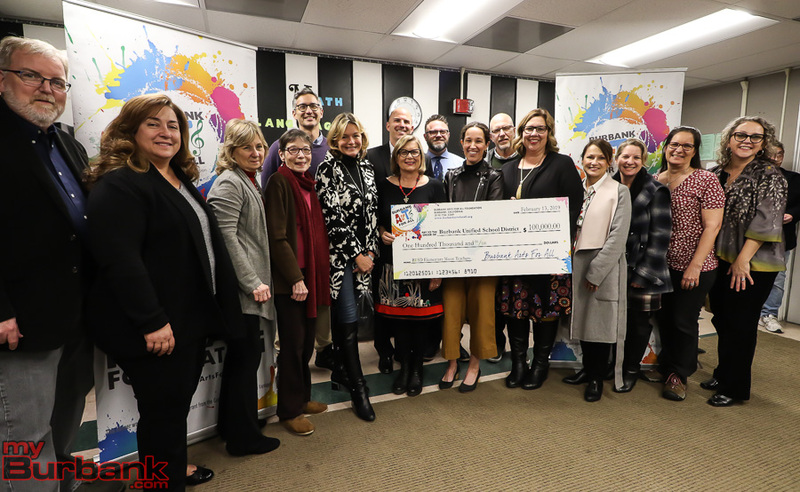 More recently, the Foundation has partnered with BUSD to support BUSD’s schoolyear-long “Music Is Instrumental” campaign to repair or replace musical instruments in BUSD’s middle and high schools. 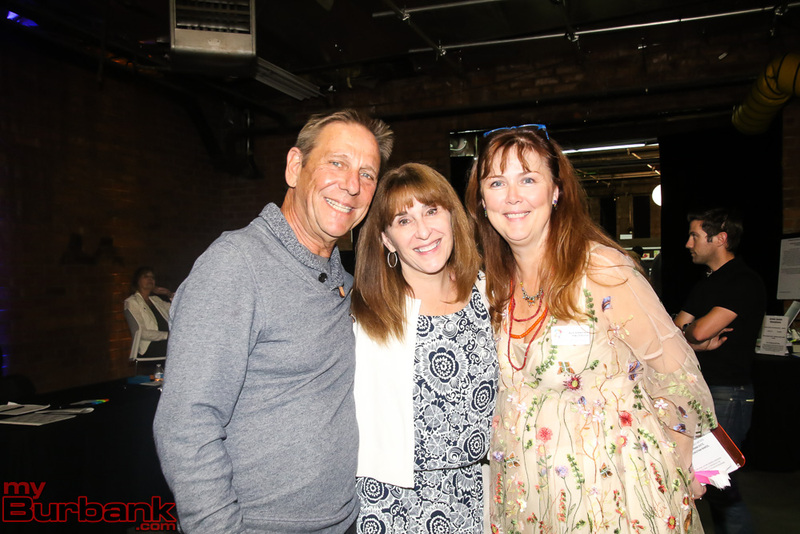 “Music is Instrumental” has garnered wide community support, including the “1,000 for $100”, fundraising effort led by Linda Walmsley, Michael Cusumano and Michael Hastings. 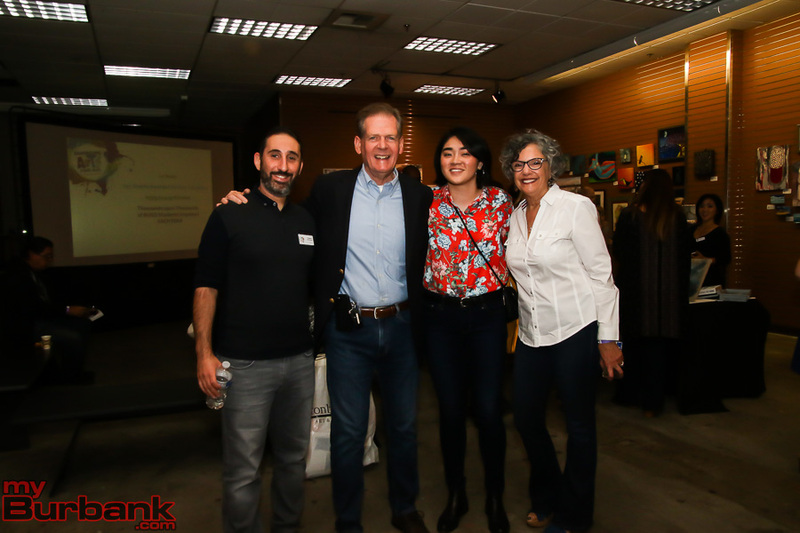 A highlight of the night was the announcement from BUSD Board of Education Clerk, Dr. Armond Aghakhanian, that Fifth District LA County Supervisor Kathryn Barger will make a $25,000 contribution to BUSD’s “Music Is Instrumental Campaign.” With this contribution, the campaign is just $8,000 shy of its fundraising target of $120,000. BAFA asked all the guests to save the date for BUSD’s “Music Is Instrumental” benefit concert at Burbank High on May 11th. 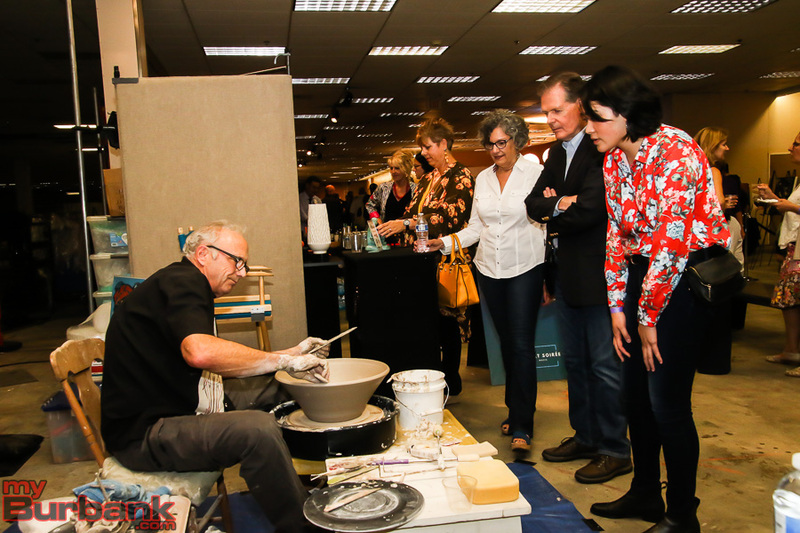 Since the beginning of BUSD’s Arts for All plan adoption, the opportunities for students to learn in creative and innovative ways has increased. 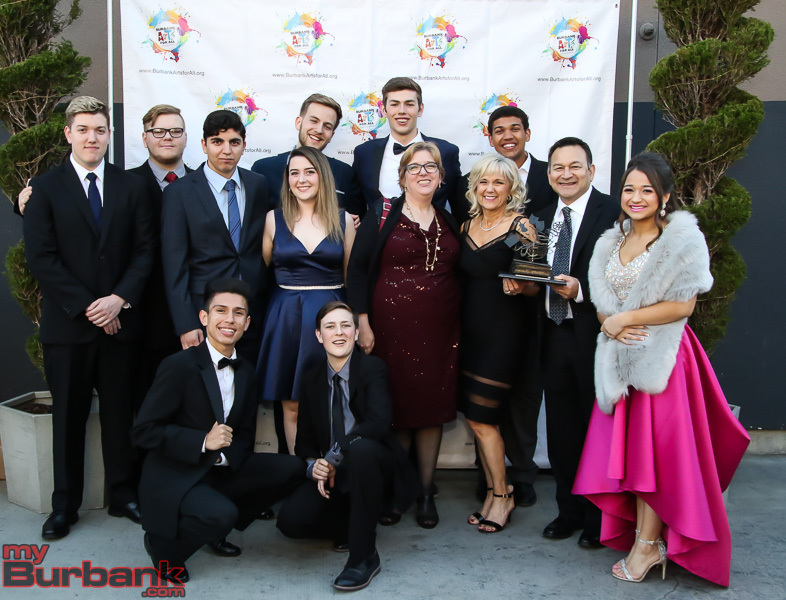 In the last few years, Burbank Unified School District secured a $1.6 million State grant to support career technical education programs in areas like hospitality, nursing, finance, digital media and digital technology and theater and studio technical support—all areas offering plenty of job opportunities in the Southern California markets. Indeed, students have gone on to professional careers as studio technicians, after having run sound and light for high school productions on state-of-the-art equipment. 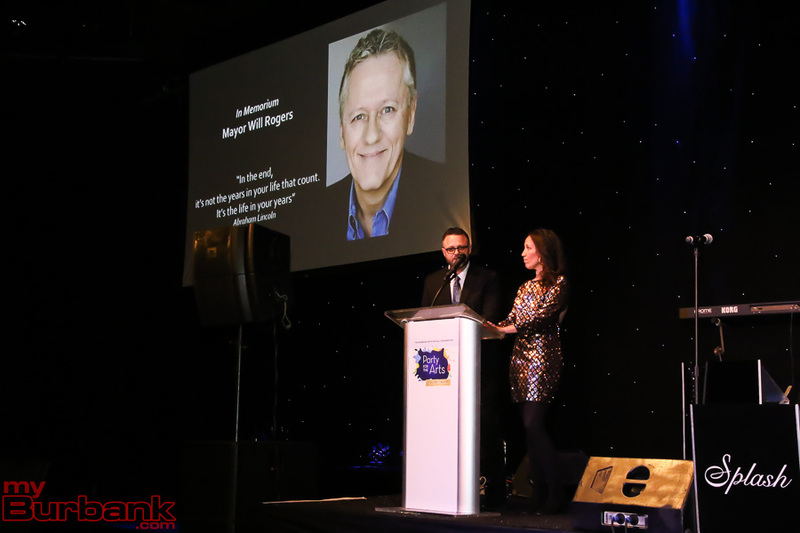 At the Gala, NBC4’s popular weathercaster and Master of Ceremonies Fritz Coleman opened with his trademark quipping about the Southern California weather. “It’s in the sixties. We call it the polar vortex.” Shifting to a more serious note he said, “In many schools, one of the first budgets to get trimmed is the arts budget.” So Coleman was offering more than pro forma gratitude when he thanked the entertainment industry for making the Foundation gala “one of the most inspirational events of the year.” And small wonder. According to the 2016 Otis report, one in four jobs in Los Angeles County is in the creative industries. The SPLASH party band added to the gala’s festive atmosphere, and, post-ceremonies, encouraged more than a few guests to dance away the evening. But SPLASH was upstaged by two very special performers. 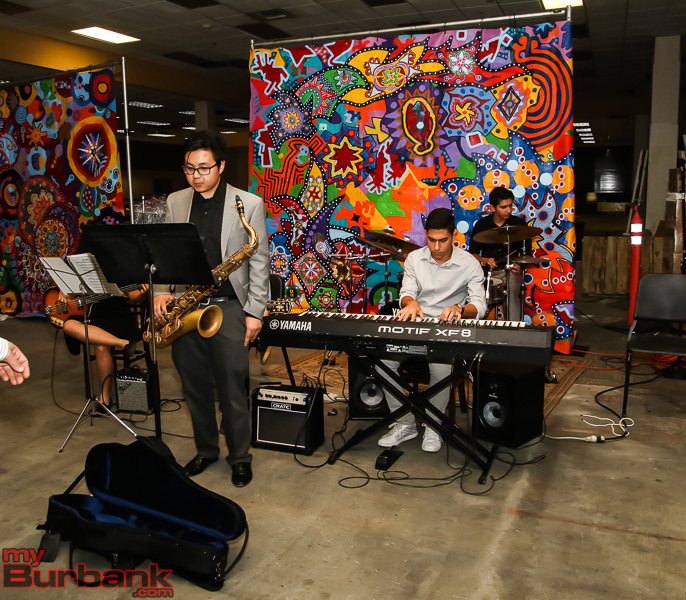 Burroughs High student and composer Yoni Fogelman performed his original jazz piece “Free Trade”. 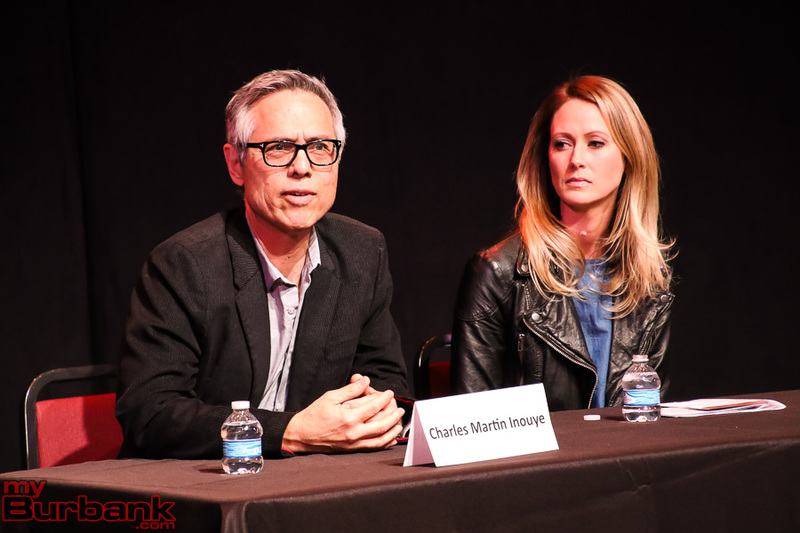 “I like to compose for film, so Burbank’s a good place to be,” said Fogelman, responding to Coleman’s question about his future plans. 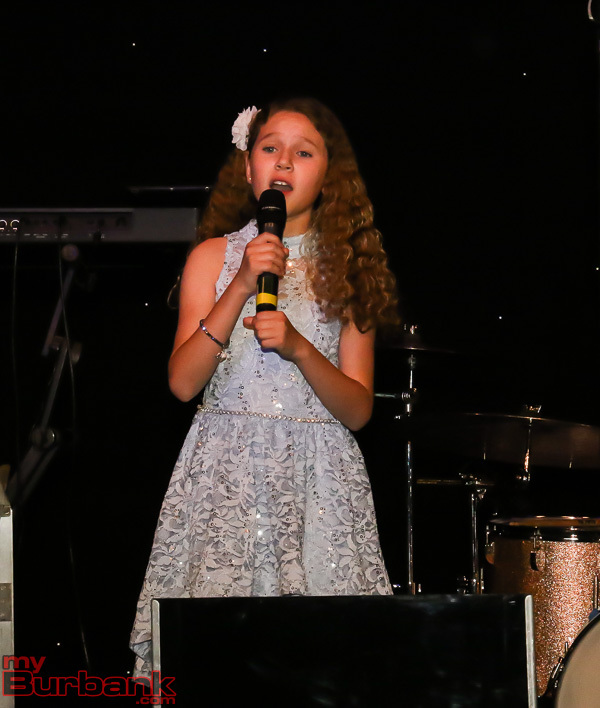 Stevenson Elementary student and songbird Audrey Contreras made the melodies soar. She told Coleman that she had no favorite performer as yet. But it was already clear to him she was well on her way to finding her own voice. 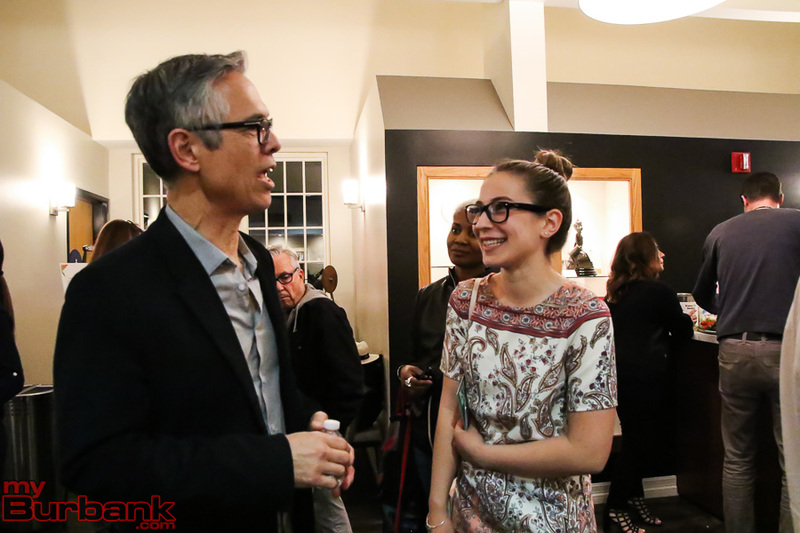 Fogelman’s and Contreras’ performances reminded the audience of the ultimate reason for arts education: human flourishing rather than withering, talent blossoming rather than remaining undiscovered. 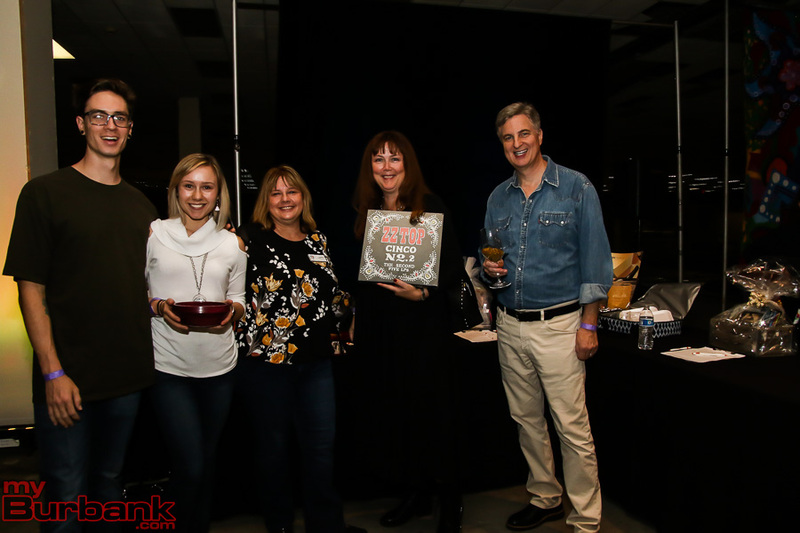 Dedicated parents, teachers and corporate sponsors leverage each dollar a thousand fold with their countless hours of volunteer effort; hence, the Foundation’s annual tradition of honoring them. 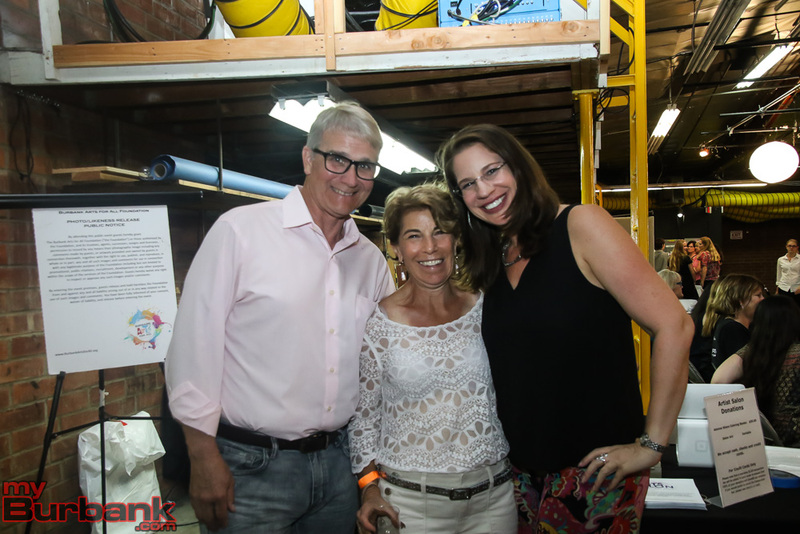 Early on, Michael and Penny promised themselves that they would support arts education for all Burbank students. 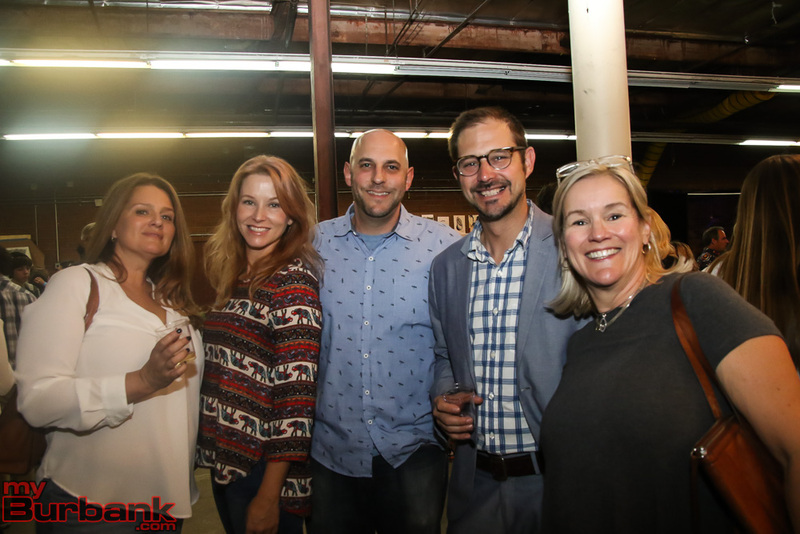 And so they held volunteer leadership roles in various fundraising and arts education programs for BUSD schools including Thomas Jefferson Elementary, John Muir Middle School, and Burbank High. They routinely go the extra mile to support the Foundation, be it lending a hand or raising funds. As a family team, they’ve been a caring cheer squad for countless students. And the kids love them back. 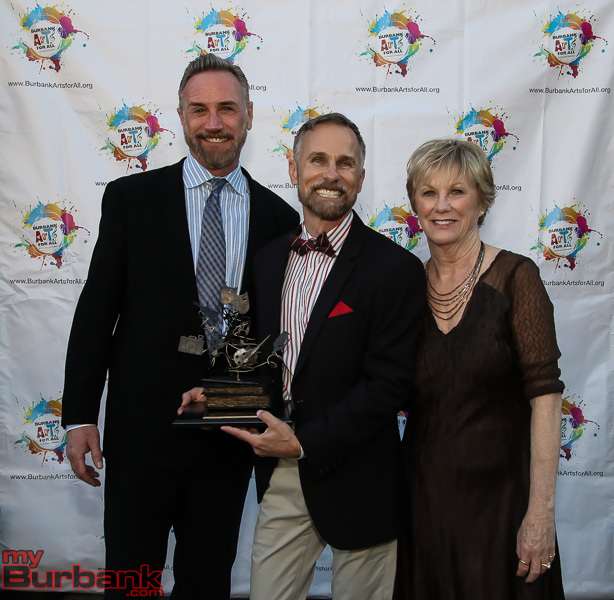 Guy Myers was the Arts for All Educator Honoree for the life-changing impact he has had on his Burroughs High theater students both personally and through his award-winning program. 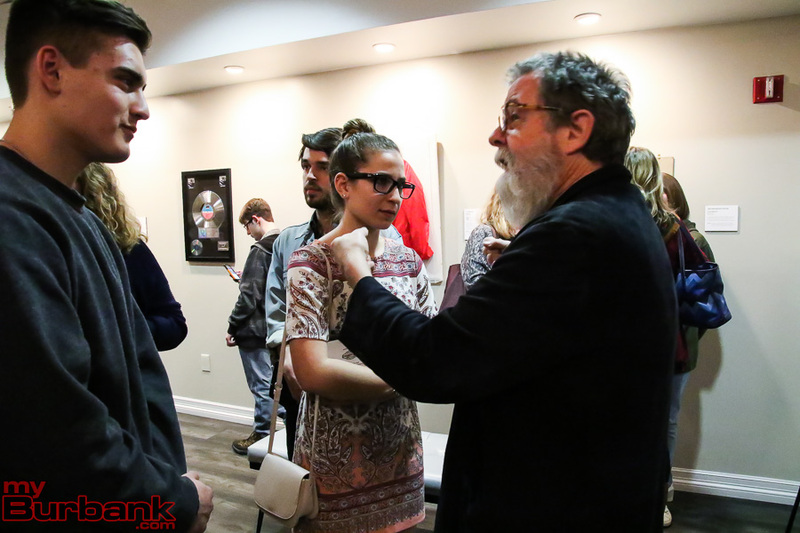 The California Educational Theatre Association awarded his program with Top Honors for “The Crucible” (2010), “Flowers for Algernon” (2015) and “The Laramie Project” (2018) as well as an Artistic Merit Award for “Peter and the Starcatcher” (2017). 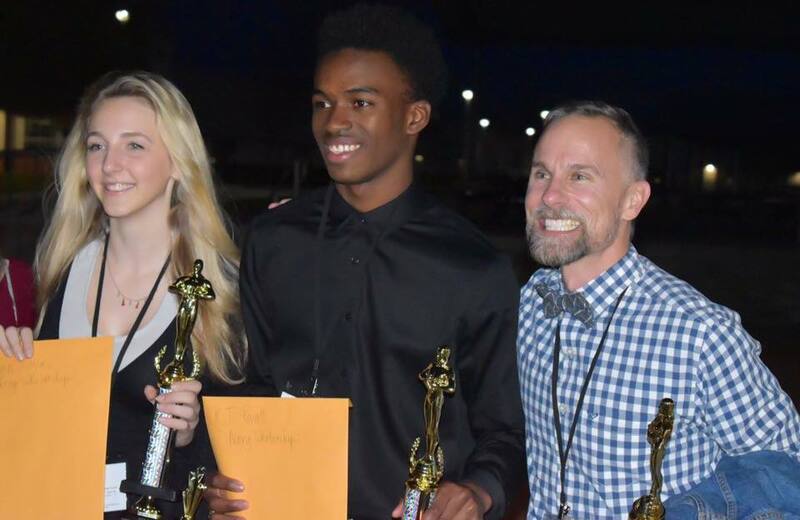 Many of Myers’ students have received regional and national acting and production awards and have moved on to prestigious collegiate theatrical programs around the world. 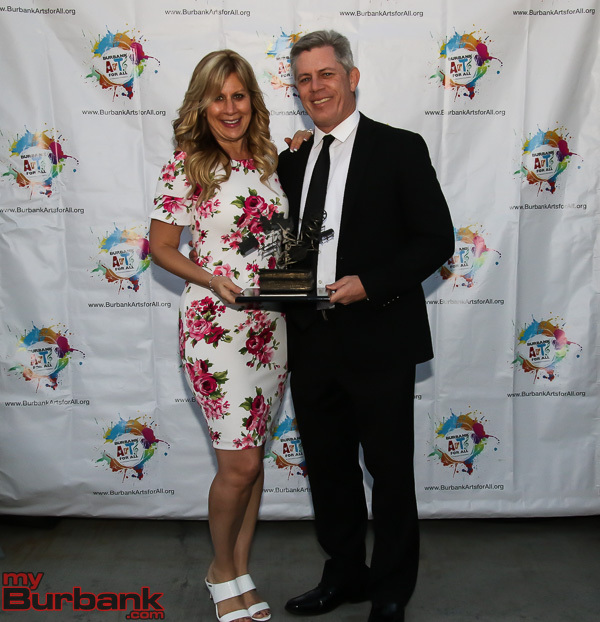 Recently, Myers has been instrumental in creating a musical theater program at Burroughs. 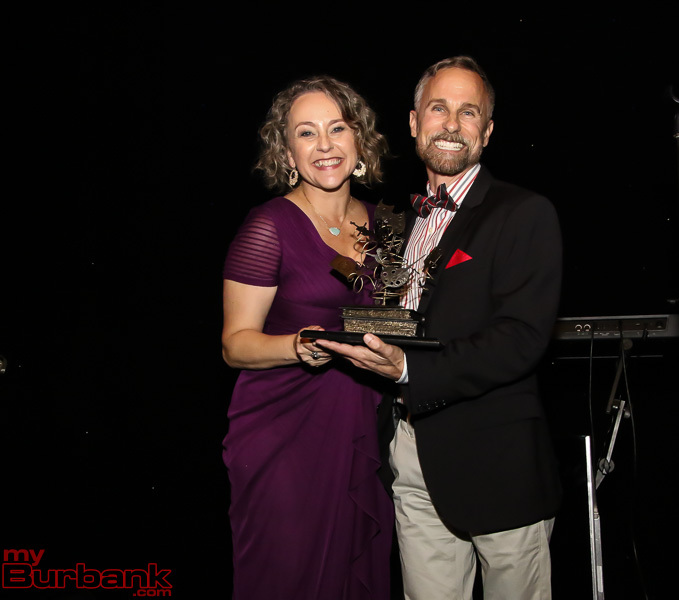 Senior Vice President Operations Universal Studios Hollywood, Scott Strobl accepted the Patron of the Arts Award on behalf of NBCUniversal, which has a corporate commitment to giving back to the communities where their employees live and work. “This is our lifeblood!” exclaims Strobl, referring to the industry’s ongoing need for creative talent. 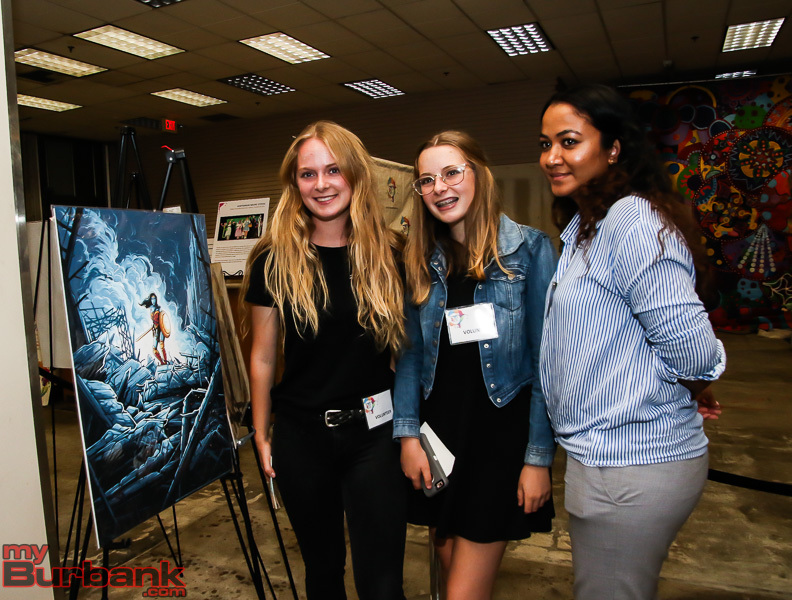 “And a quality arts education truly changes these kids’ lives.” And Strobl knows this first hand as a Burbank resident with school-age children. 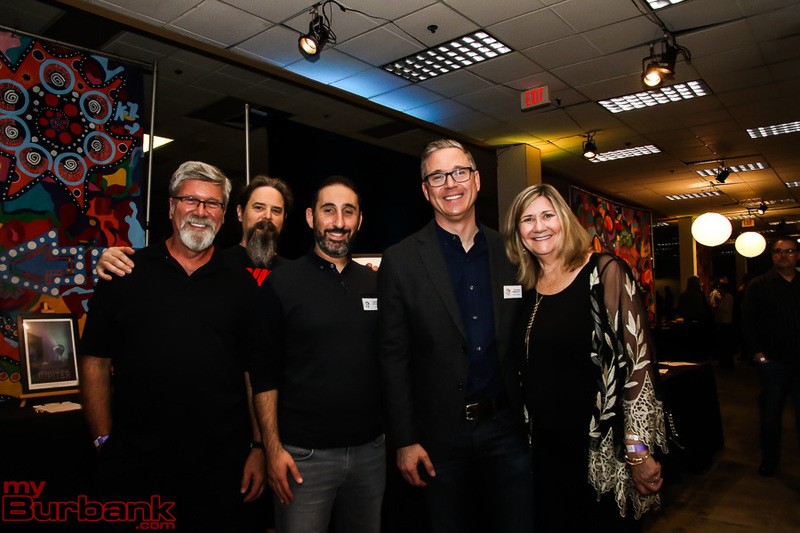 As one of the world’s leading media and entertainment companies, NBCUniversal has been a source of tremendous support to the Foundation and to the Burbank community. 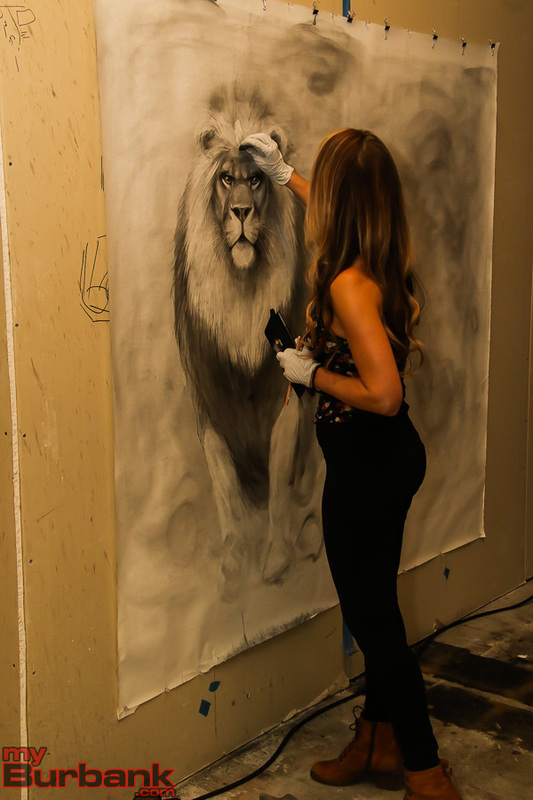 It offers internship and other work-study programs for high school and college students, the better to nurture that crucial supply of talented people combining skill, imagination and a heaping measure of artistic talent. Coleman continued to cajole contributions from the more-than-willing Foundation guests and egged on the competitive bidding for vacation getaways “Reba Las Vegas!”, ”Bourbon, Baseball, and Bluegrass”, “Escaping to the Big Easy” and more locally, the Geffen Playhouse and Hotel Bel-Air. 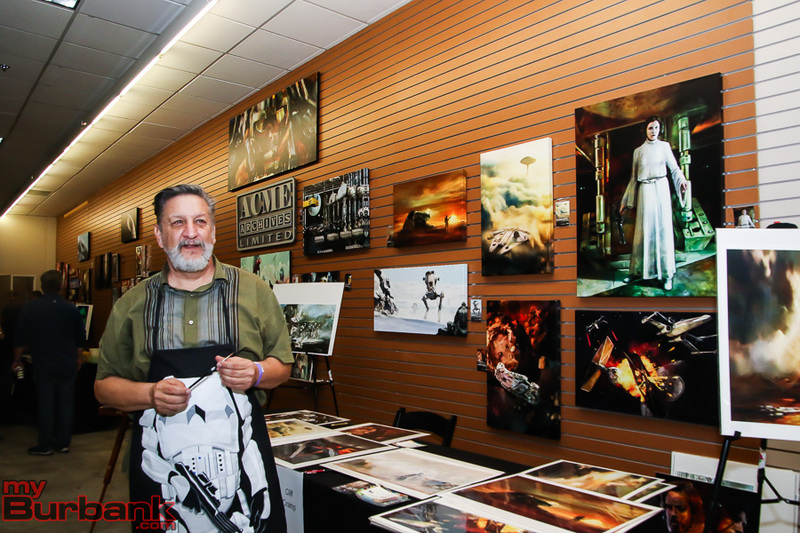 (There were dozens of tables’ worth of silent auction items as well.) Though the shekels are still being tallied, it’s clear the fundraising was successful. It needs to be. 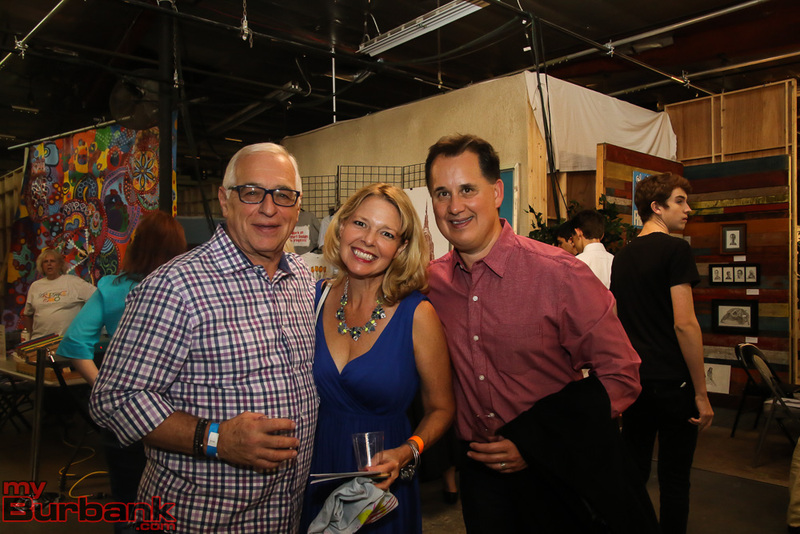 About 60% of the Foundation’s revenue comes from its annual gala. 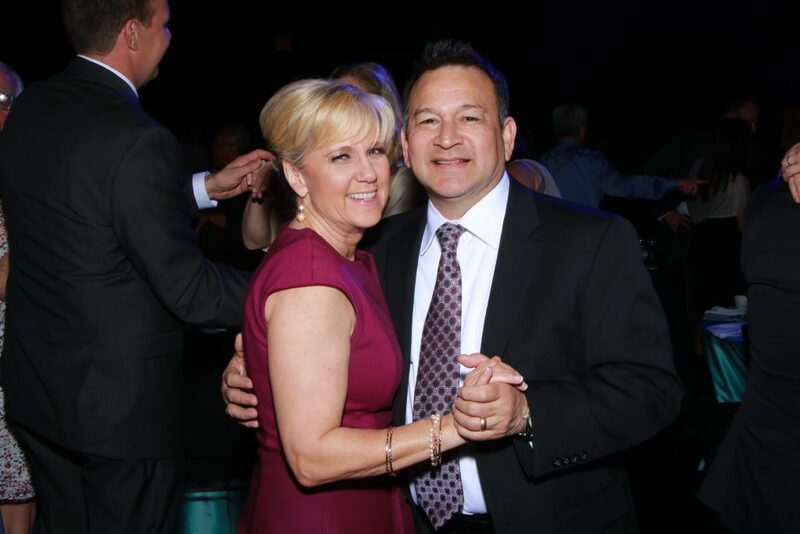 The Foundation hopes to grow its fundraising in the next year with planned giving and donations from appreciated stock. 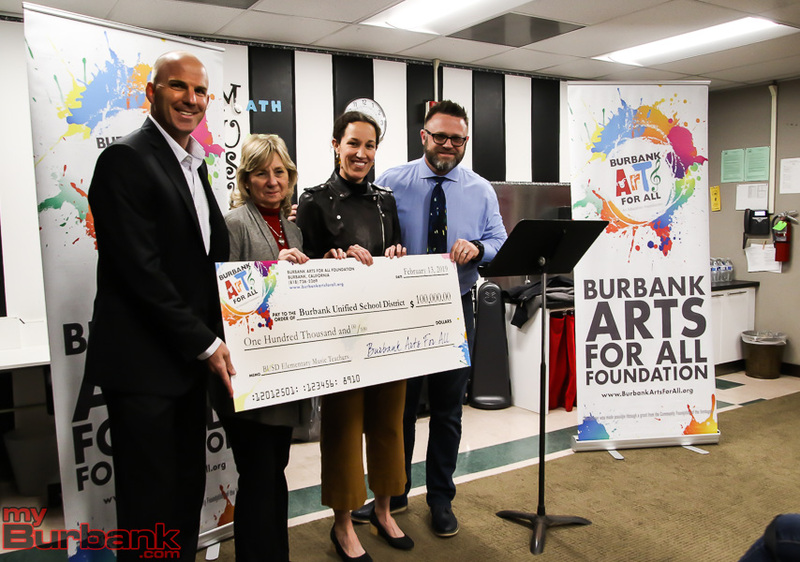 One way or another, the Foundation and the Burbank community will maintain a vibrant arts education. 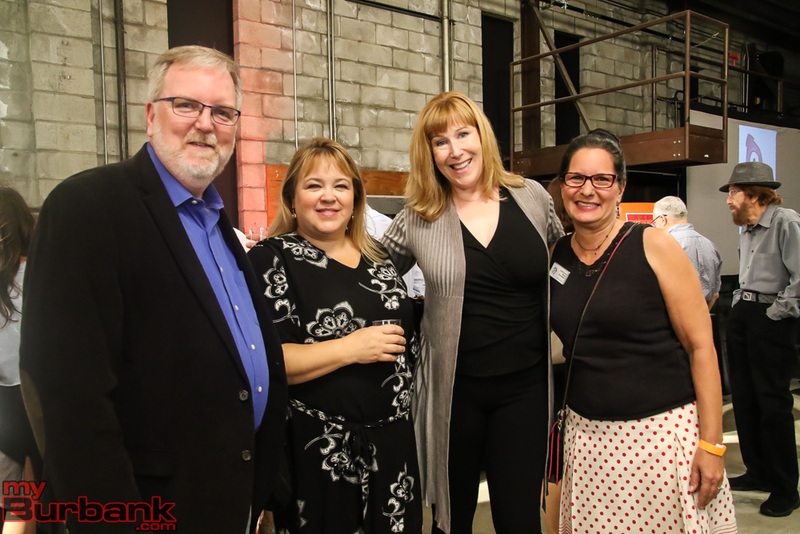 “We want to serve the kids in Burbank even more and inspire Burbank to build the finest arts education program in California,” says Foundation Executive Director Trena Pitchford. 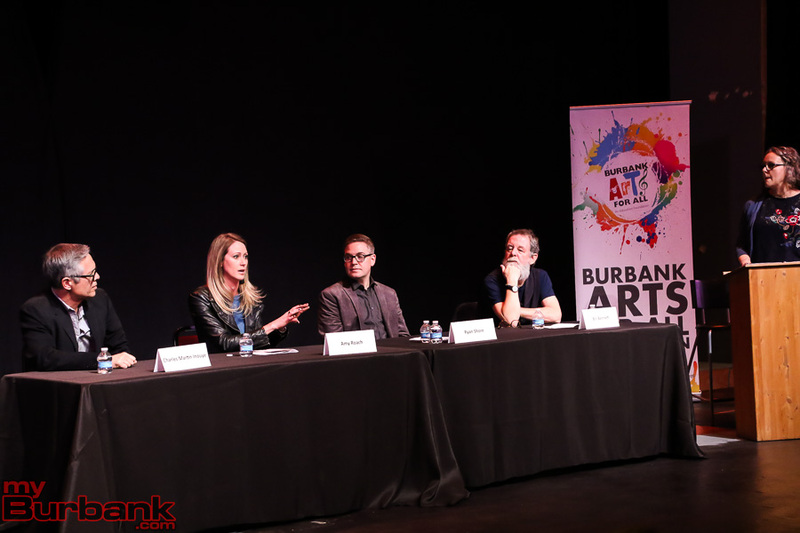 That may well mean that Burbank will have one of the finest arts programs in the nation. Want to learn more? 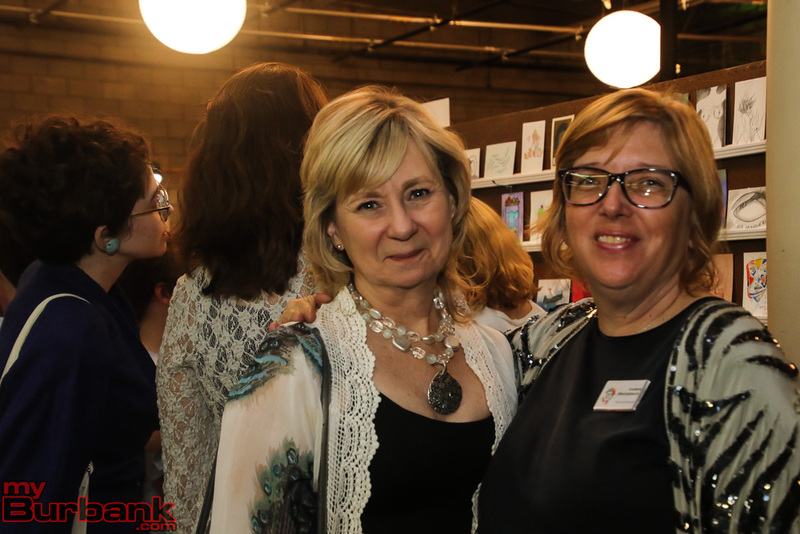 Contact Trena Pitchford, Executive Director, at 818.736.5269 or trena@burbankartsforall.org. 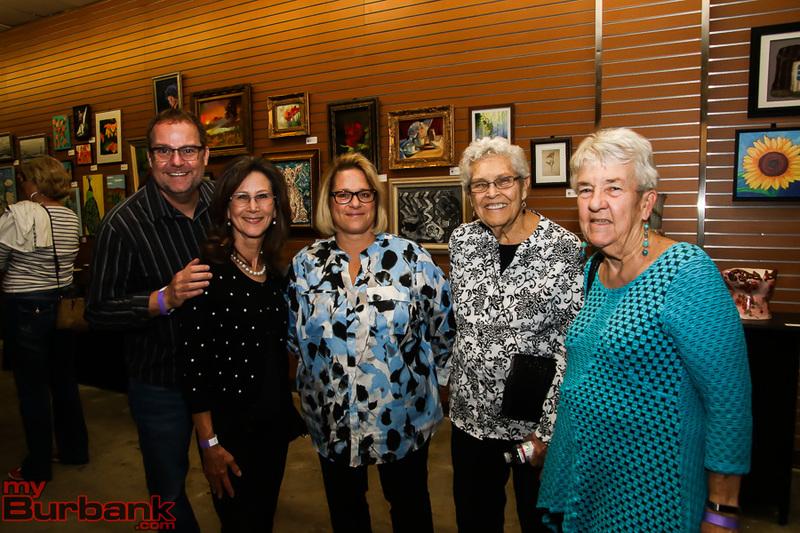 This entry was posted in Events, News, Organizations and tagged Burbank Arts for All Foundation, Globe Theatre, party for the arts on April 23, 2018 by Greg Simay. 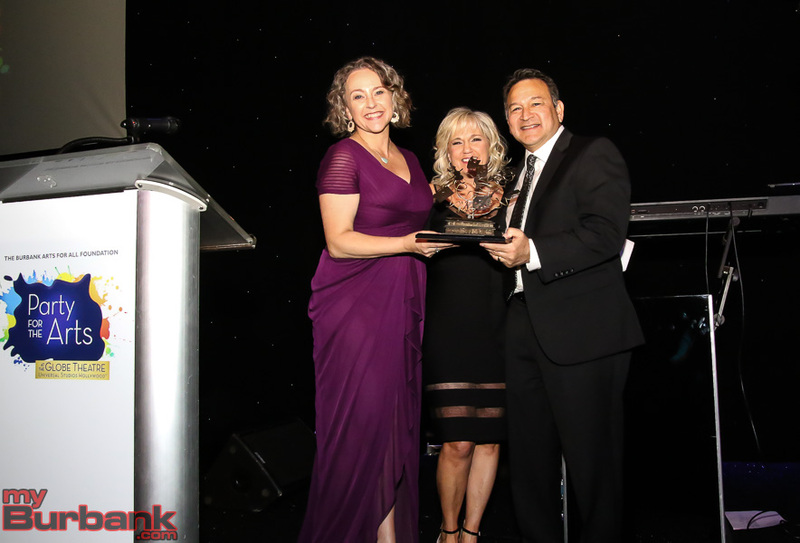 The Burbank Arts for All Foundation seventh annual gala, Party for the Arts, celebrates three leaders of arts education support on Friday evening, April 20, at The Globe Theatre at Universal Studios Hollywood. 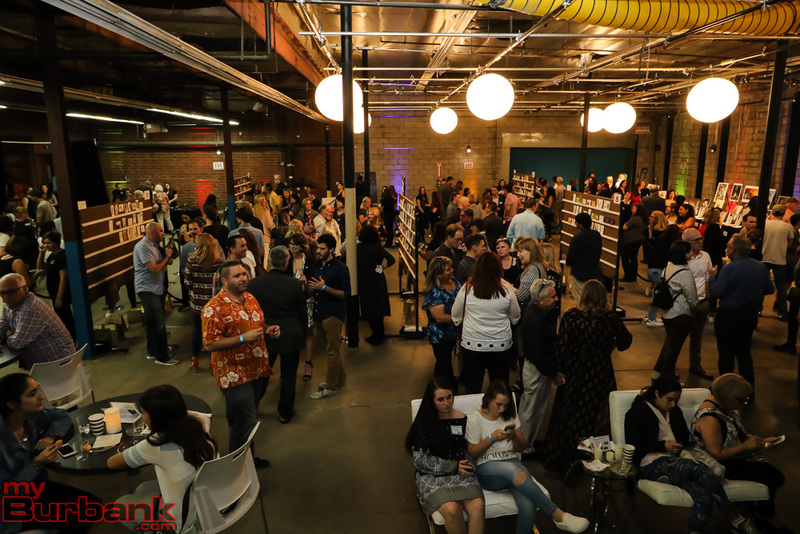 The Party for the Arts Gala proceeds will directly benefit the Foundation’s support of Burbank Unified School District efforts to provide arts education to every Burbank public school student. 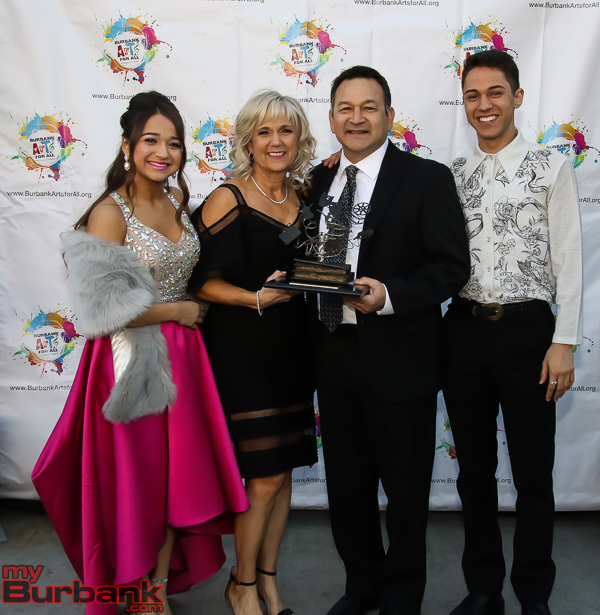 NBCUniversal will receive the Patron of the Arts Award, John Burroughs High School theater teacher and Drama Department head Guy Myers will be presented with the Arts for All Educator Award and volunteers Penny and Michael Zambrano will be honored with the Champion of the Arts Award. “Being a good neighbor is part of the DNA of NBCUniversal,” commented NBCUniversal Senior Vice President of Corporate Affairs, Tracey Cohen. 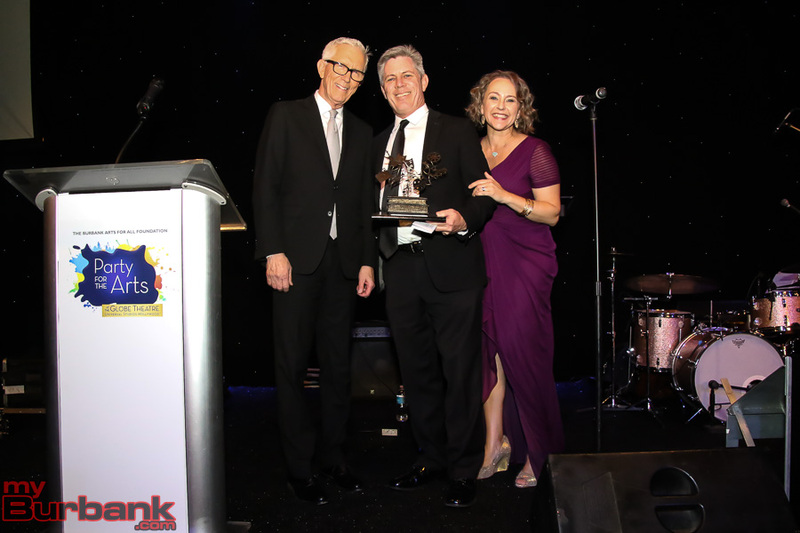 Fritz Coleman, NBC4 Southern California Weathercaster, will reprise his role as Master of Ceremonies for the gala. 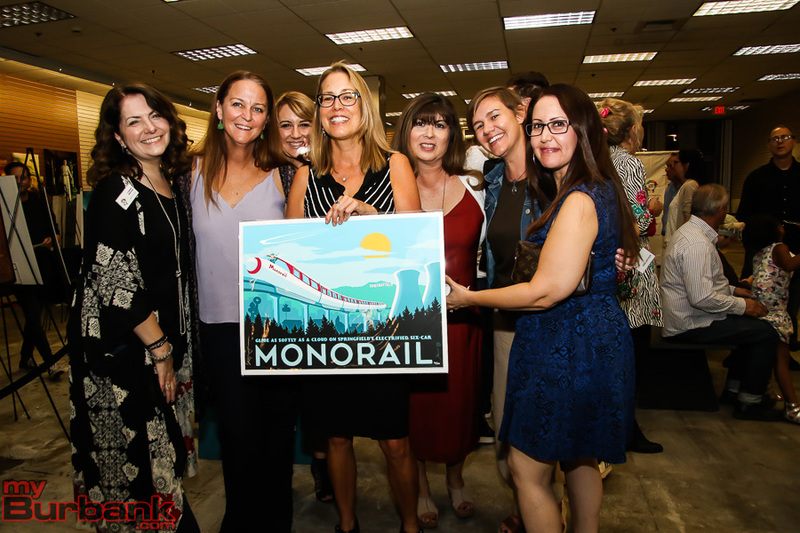 Hosted cocktails, a silent auction and live entertainment will also be part of the festivities. Sponsorships and tickets are still available for the event. 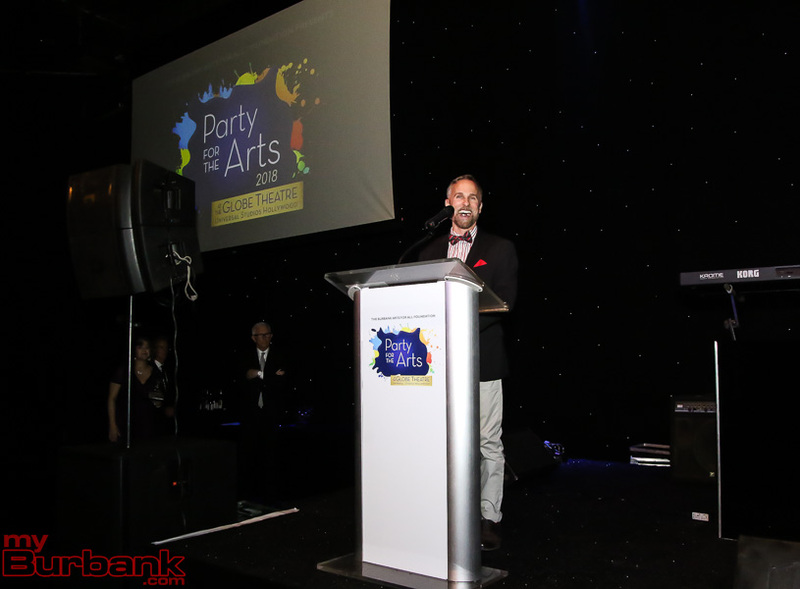 For more information on attending or supporting the Party for the Arts Gala, visit the Foundation’s website here. 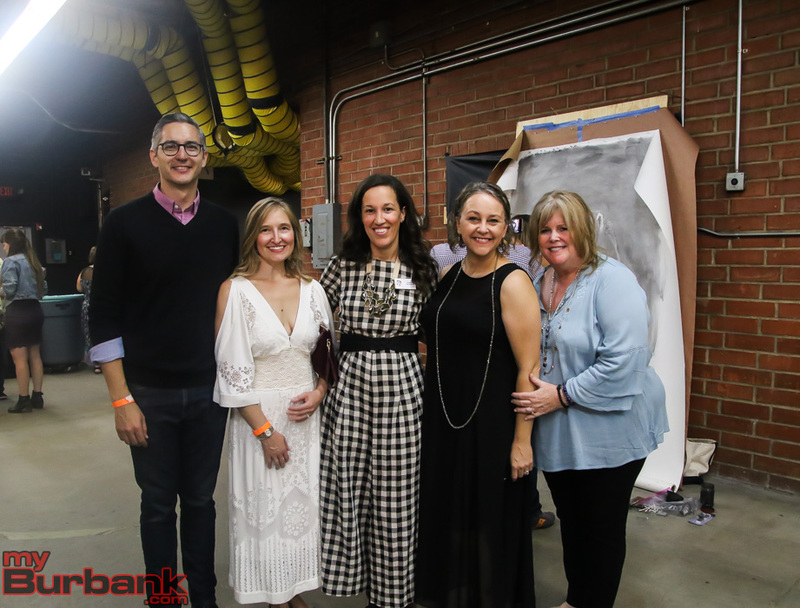 This entry was posted in Events, News, Schools and tagged Burbank Arts for All Foundation, party for the arts on April 12, 2018 by Lisa Paredes. 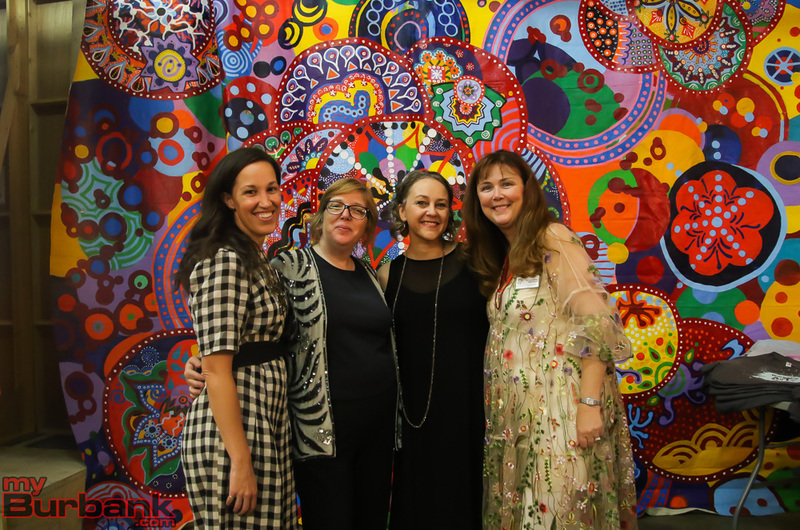 Burbank Arts for All Foundation hosted a Community Exchange gathering on recently at William McKinley Elementary School, highlighting creativity for kids through a few examples of arts programming in BUSD’s elementary schools. 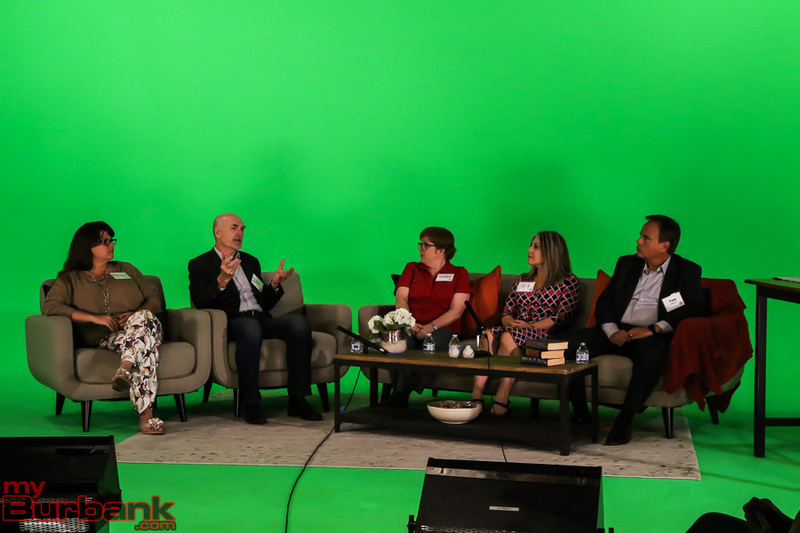 Among the guests in attendance was BUSD Board of Education Vice-President Dr. Roberta Reynolds and Clerk Dr. Armond Aghakhanian, Burbank City Council Members Bob Frutos and Sharon Springer, and District Representative for State Senator Anthony Portantino, Arda Tchakian. 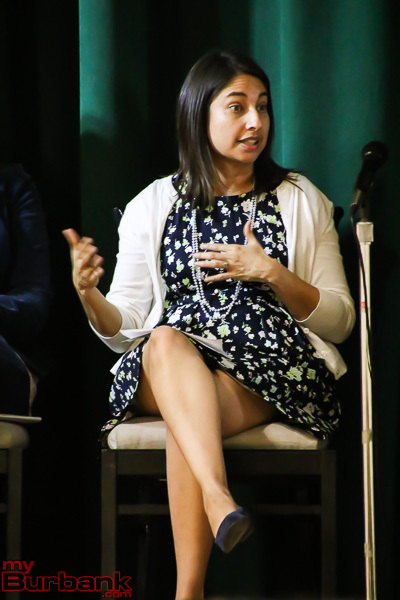 Foundation Program and Outreach Manager, Saundra Montijo, welcomed guests and shared how these Exchange gatherings are a part of the Foundation’s resource-sharing and advocacy efforts, fostering an open dialogue on what’s happening in arts education in Burbank Unified Schools. 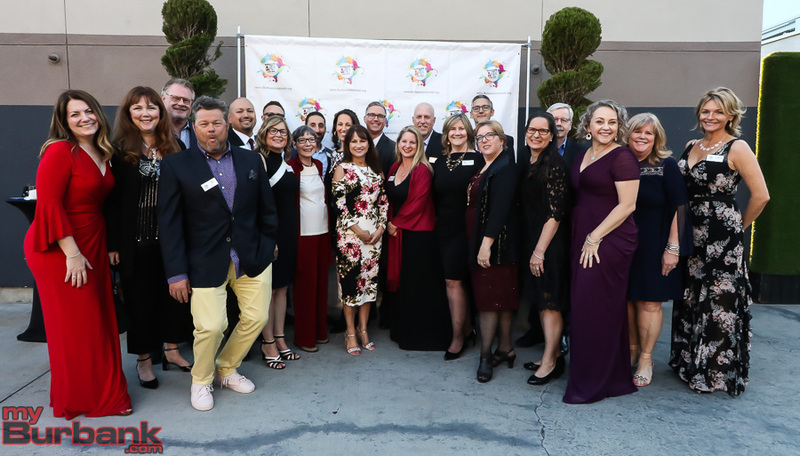 The Foundation’s current advocacy work also includes the formation of a team of parent leaders called the “Arts Advocacy Leaders,” a group that meets throughout the year to discuss arts education in BUSD and develops ways that the Foundation can best serve each of the District’s parents, students, and teachers. 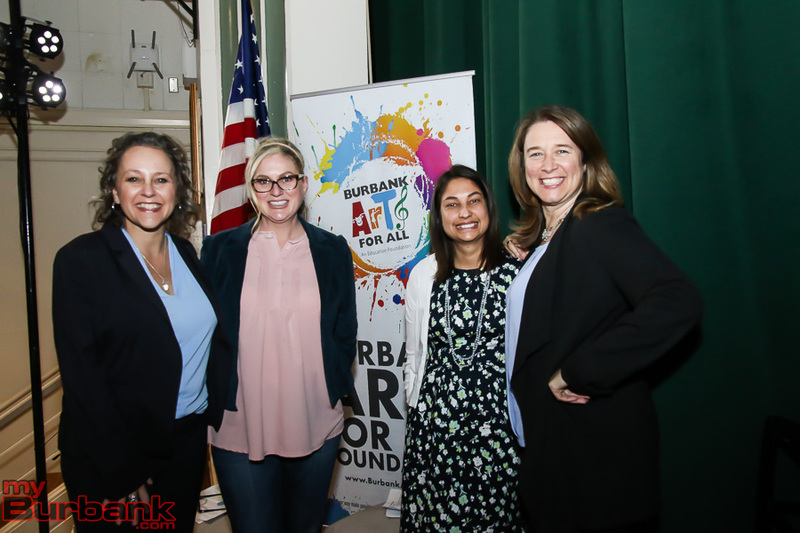 For Wednesday’s Exchange, Burbank Arts for All Foundation’s Executive Director, Trena Pitchford, facilitated a panel discussion featuring BUSD elementary educators Liz Costella (Principal, McKinley Elementary), Alicia Boylan (Teacher, Bret Harte Elementary), and Dr. Jennifer Meglemre (Principal, Roosevelt Elementary). 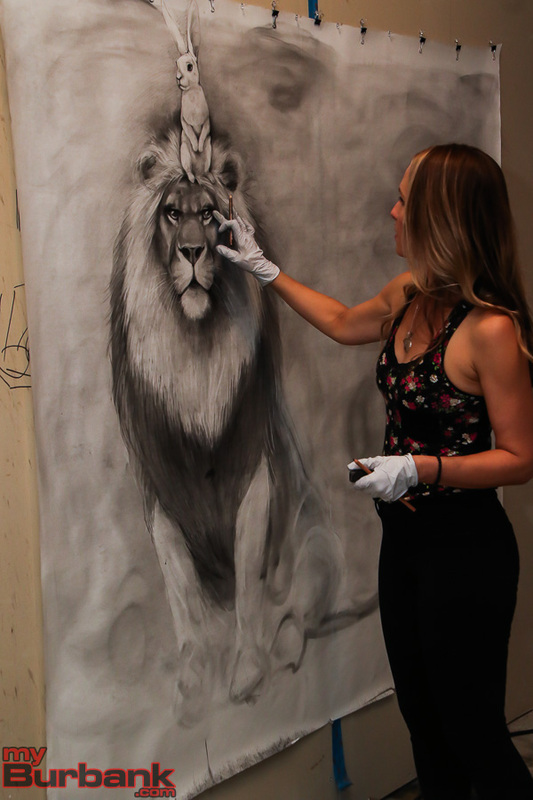 Because every school site in BUSD is unique with its own culture and student population, each site has developed its own approach to bringing arts instruction into its classrooms. All eleven elementary school campuses begin developing their arts education programming using their unique strengths and their Principal’s vision to meet the needs of their students. 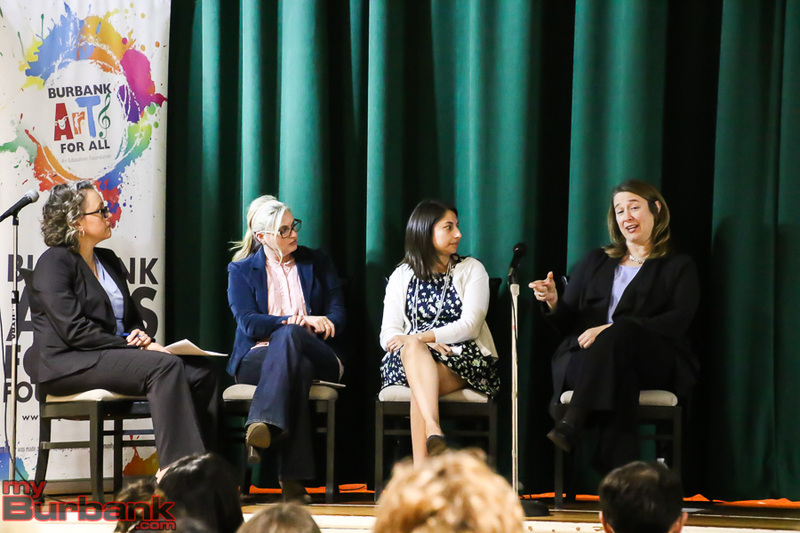 The panel conversation began with Principal Liz Costella sharing some of the challenges faced in implementing arts programs at her school site. She emphasized the importance of outside funding to support sustaining a program over time. 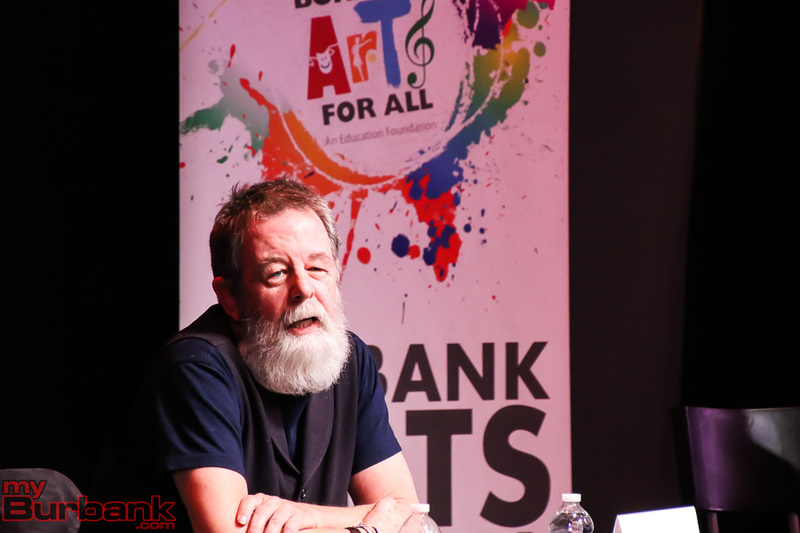 “Lack of funding and facility space are two of the main obstacles school sites can face when determining what arts programming to move forward with, and both challenges must be heavily weighed in making programming decisions,” Costella continued. 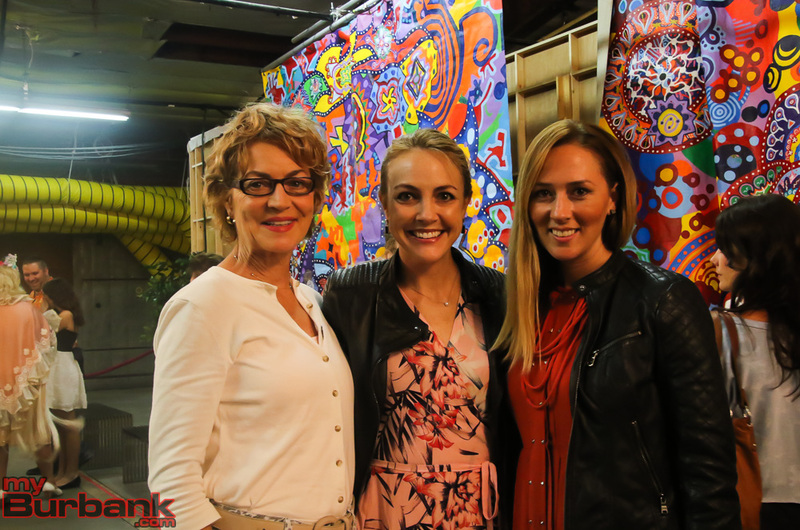 Teacher Alicia Boylan shared the impact of arts integration on her students. Ms. Boylan infuses the arts into all aspects of her teaching, giving students a new approach to core subjects such as math. 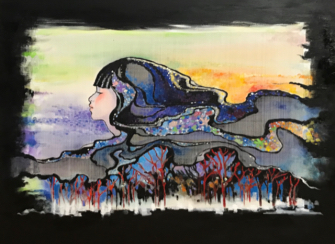 Struggling students are able to use art to find success in difficult subjects, while shy, introverted students are given the chance to shine through creativity. Students are also taught to embrace and learn from mistakes, rather than fear them, which develops their problem-solving skills. 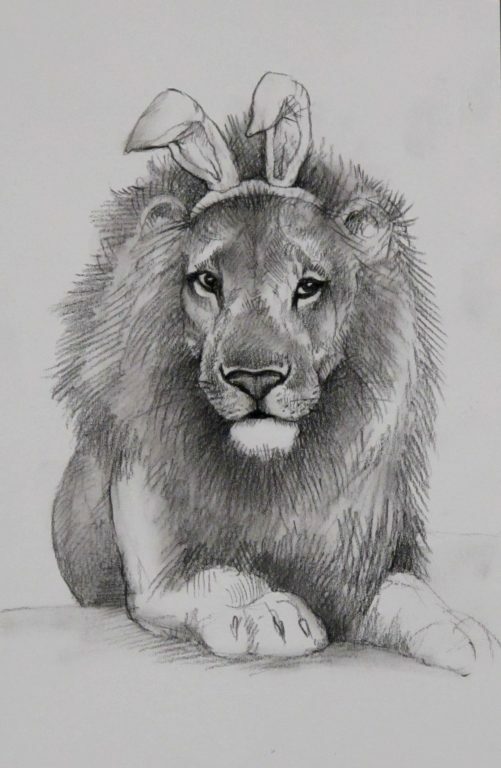 In the “Sketching in Math for Fun and Glory” project, also funded by the Foundation, students created fractals and the Fibonacci sequence through doodles in their own sketchbooks. 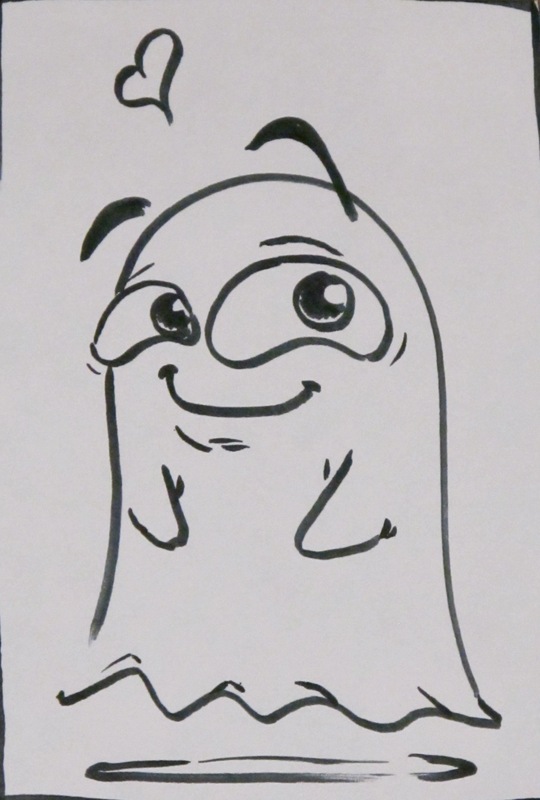 “I think it really resonated with my students because they were sketching in their own book, coming up with their own ideas. It was their work and they were very excited about math.” Many of Ms. Boylan’s students continue to use art as a learning tool far beyond her classroom, even bringing the techniques taught to them into their future school years! Principal Dr. Jennifer “Dr. 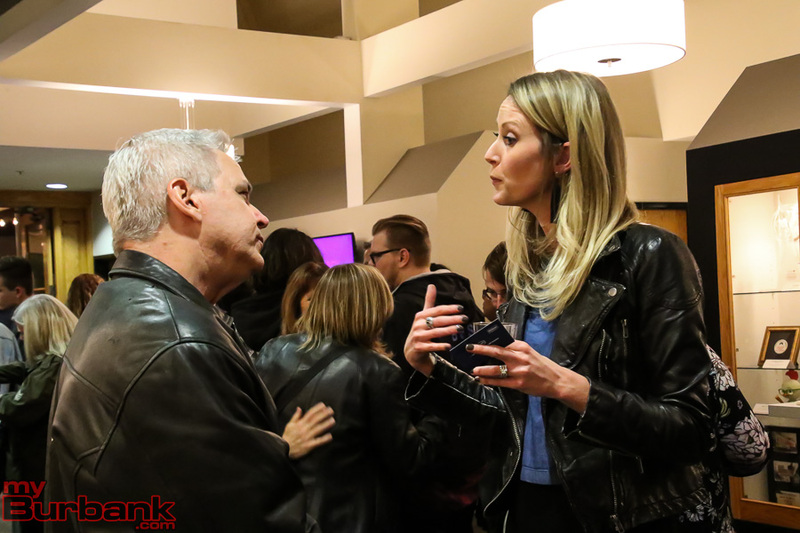 Meg” Meglemre told guests how she has worked with her parents and teachers to build a successful music program over her 7 years at Roosevelt Elementary school, resulting in every student being exposed to music every year. 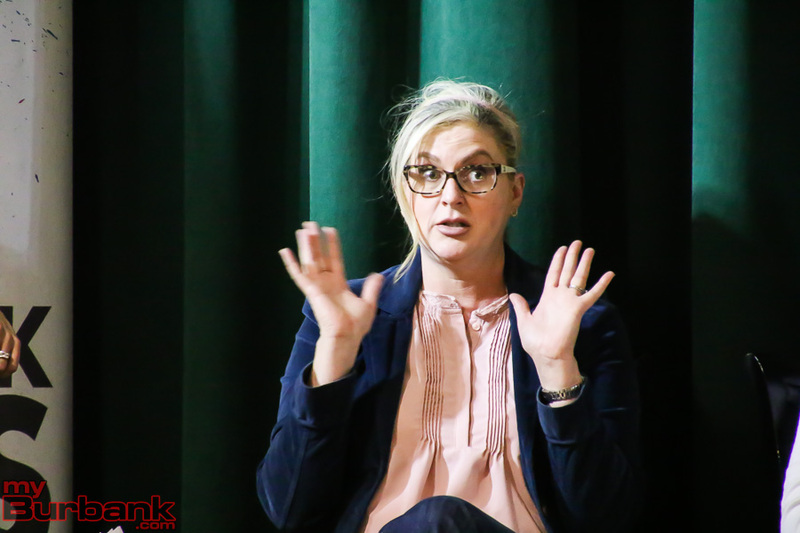 In the beginning, parent groups were funding most of this program; however, as the District has begun to take on some of these costs, parent-raised funds have been redirected to other programming and needs. Dr. Meg went on to explain her approach when ideas are presented to her by teachers, parents, and students. 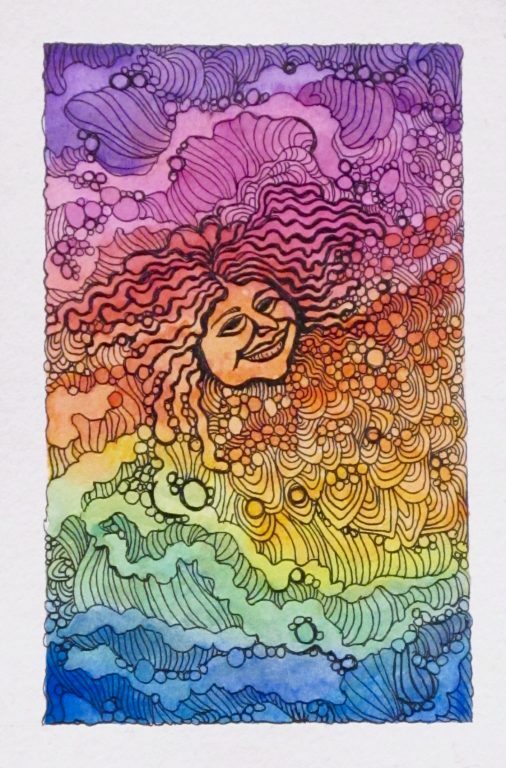 She stated, “If I ever write my memoir, it will be called ‘Starting With Yes.’ When an idea is presented, my response is always, ‘Yes, I love it! And then: how can we do it?’ It opens up the dialogue to explore what will be needed and the challenges there may be to determine the idea’s overall possibility.” In empowering those within the Roosevelt community with the freedom to innovate, a positive and collaborative atmosphere has been fostered at the school. 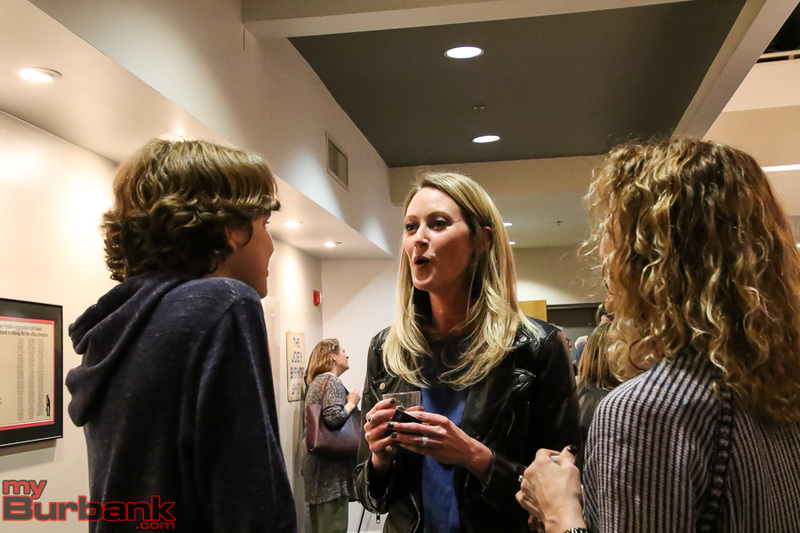 Guests were then treated to a slideshow presentation on the many arts programs offered at McKinley from parent leader and PTA Arts Chair, Ali McNeeley. The faces of excited, smiling children and teachers engaged in a large variety of arts activities appeared on the stage’s screen, to the delight of all present. 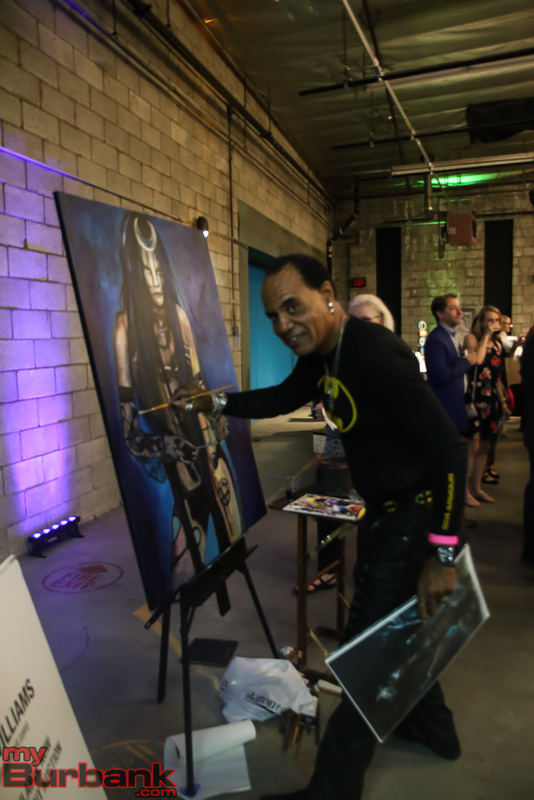 Highlighted programs included several Foundation grant-funded projects, such as the school’s Rainforest mural, REMO Drum Circle workshops, Garri Dance artist-in-residencies, and the school’s hallway art gallery. 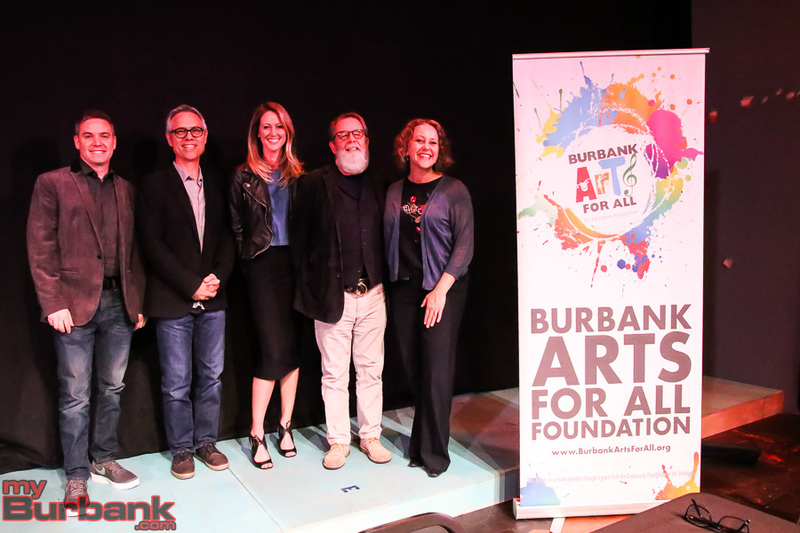 BUSD’s Arts for All Plan is supported by an ecosystem that includes the District, parents, community partners, and Burbank Arts for All Foundation working together to offer creativity in every BUSD student’s education. 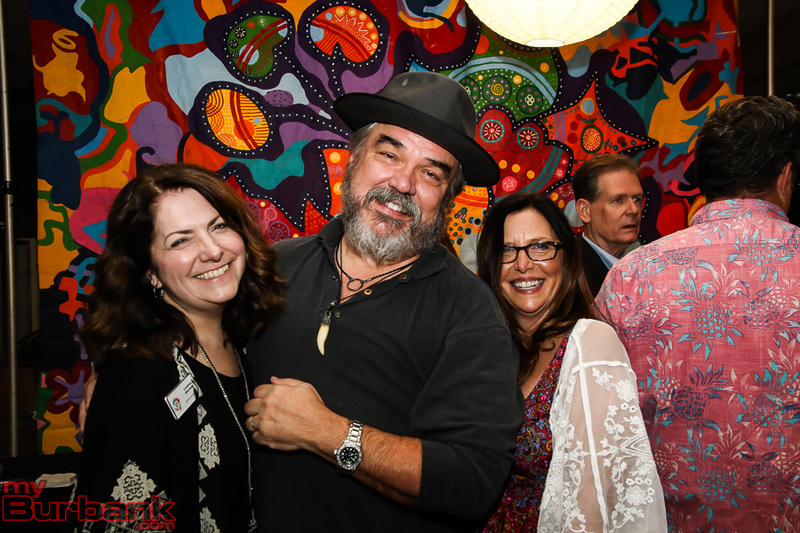 Over the past 12 years, this ecosystem has supported the District’s efforts to rebuild and sustain arts programming at every level. 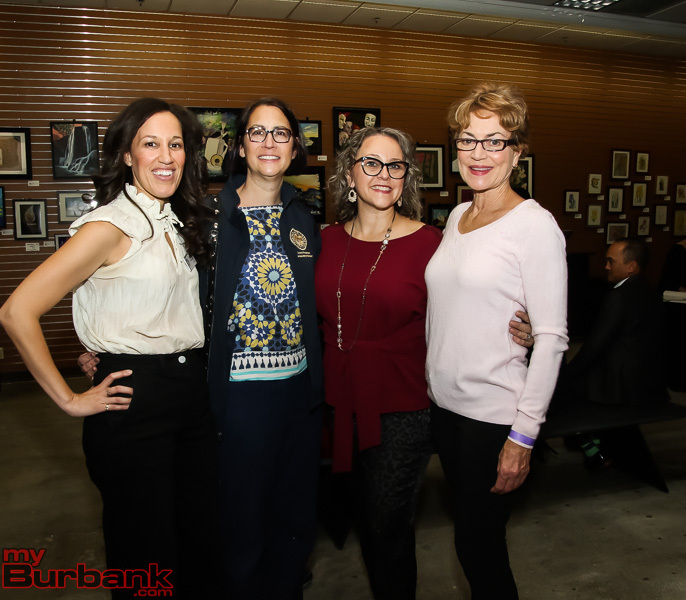 This entry was posted in News, Organizations and tagged Burbank Arts for All Foundation on February 22, 2018 by Staff. 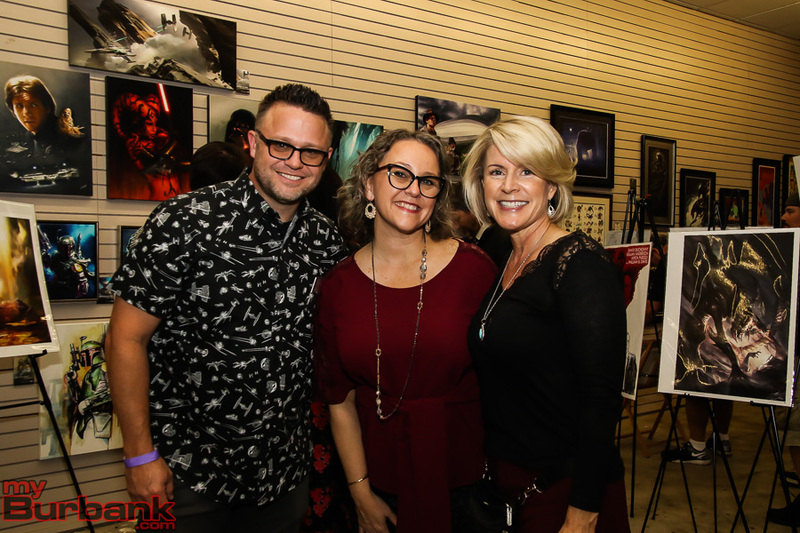 The Secret Art Show, Burbank Arts For All Foundation’s annual pop-up art gallery, is slated for Saturday evening, September 30. 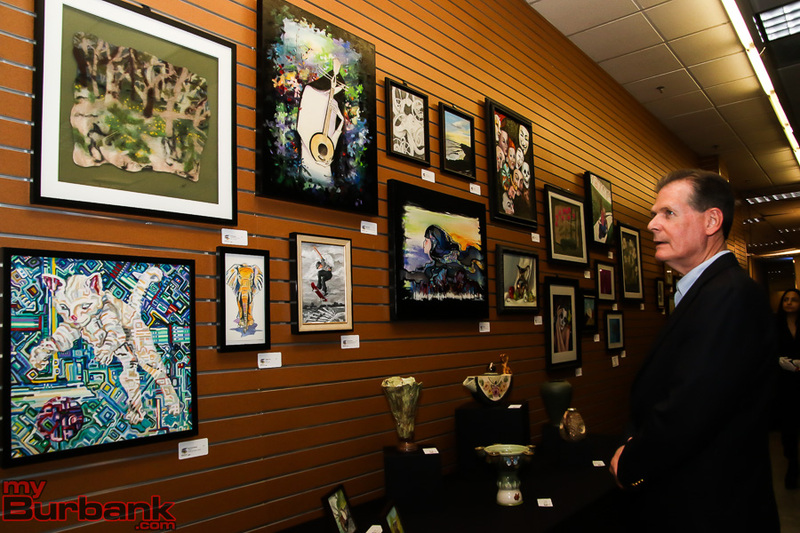 More than 600 miniature works of art will be available on a first-come, first-served basis, for a $40 donation per piece. 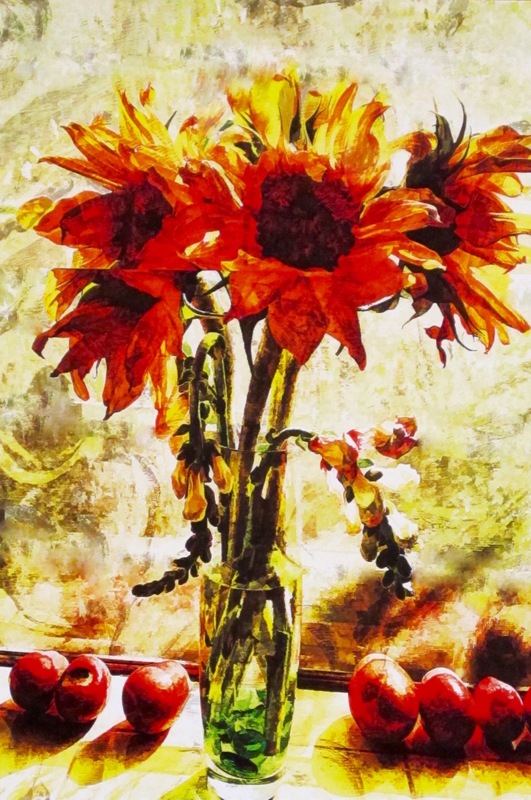 Now in its fifth year, The Secret Art Show pop-up debuts The Artists Salon this year, a collection of market price art ranging from $50 to $6500 per piece. 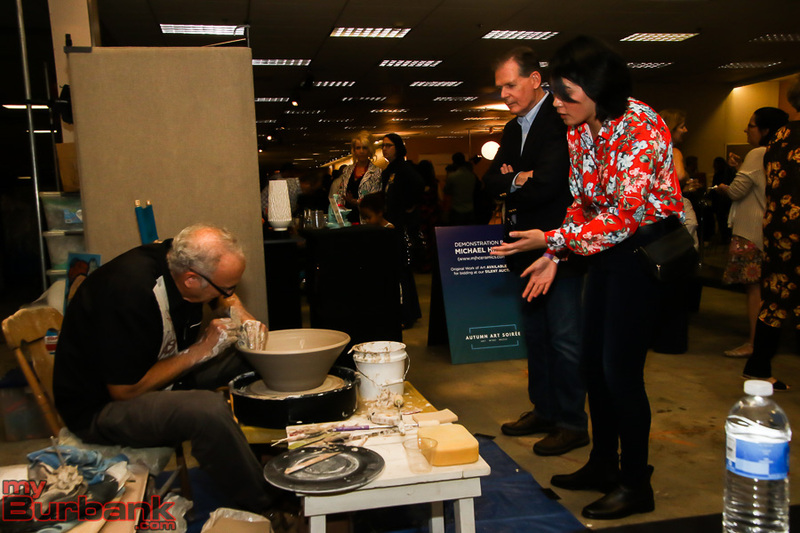 Eighty pieces of visual art will be displayed in the Salons, including sketches and acrylic paintings, sculpture and ceramics from a range of professional artists. 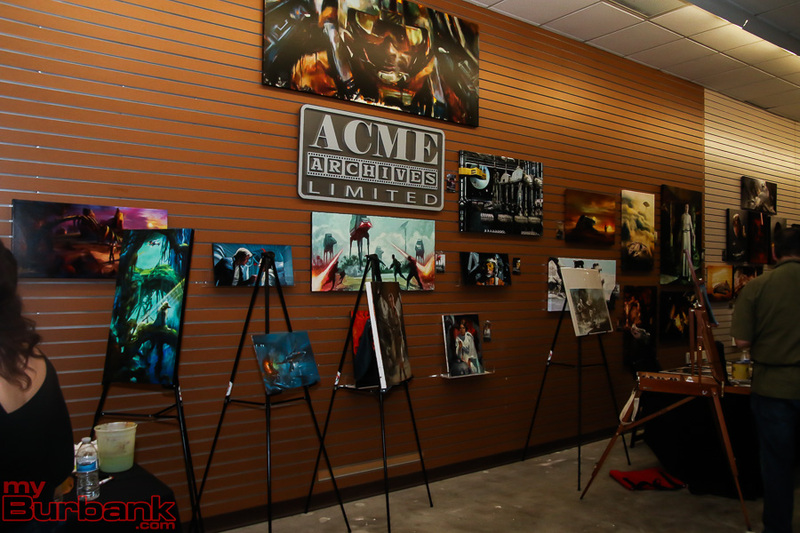 The Artists Salon will be located in the pre-entry area to The Secret Art Show, and is free to view. 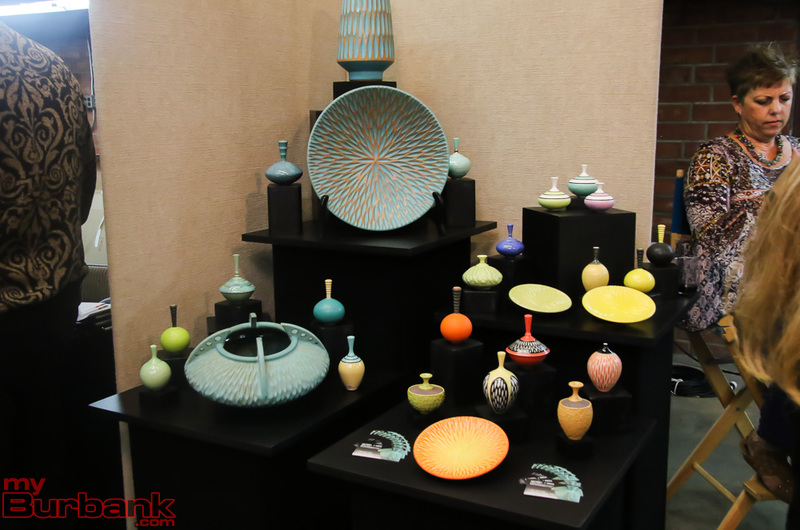 Items from The Artists Salon are available for pre-sale and interested patrons should contact Executive Director Trena Pitchford ahead of the event. 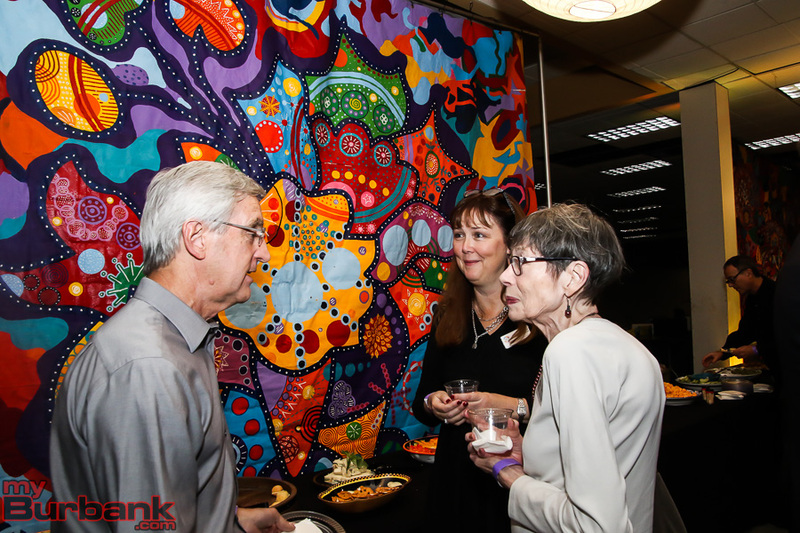 “Some of our more collectible and award-winning Secret Artists generously donated larger pieces of work for The Artists Salon,” commented event co-chair Alexandra Helfrich. 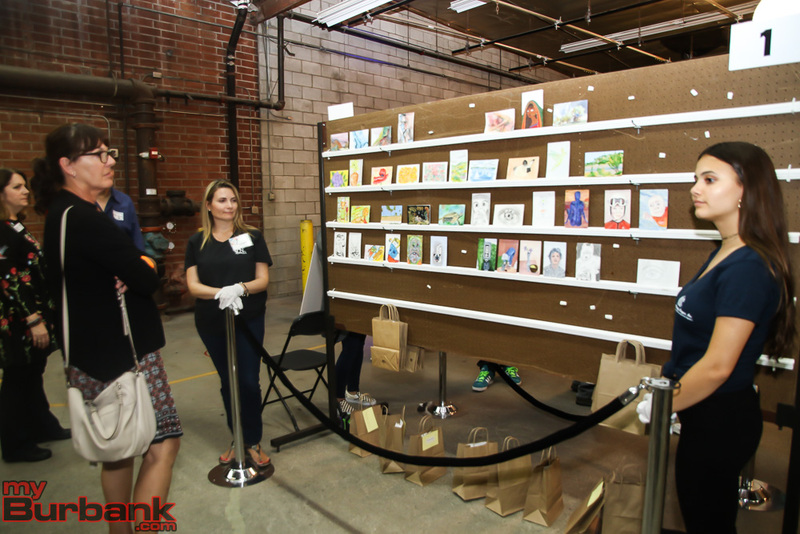 Artists with miniature (4″ x 6”) works of art in The Secret Art Show include New York Times bestselling author and illustrator Loren Long, talk show host and comedian Conan O’Brien, Warner Bros. animation designer Jay Shultz, author and two-time Emmy Award-winning actor in “VEEP” Tony Hale, “SpongeBob SquarePants” art director Peter Bennett, actor Joe Mantegna, middle and high school students from Burbank Unified, members of the Burbank Art Association and artists from DC Entertainment, The Walt Disney Animation Studio and Nickelodeon. 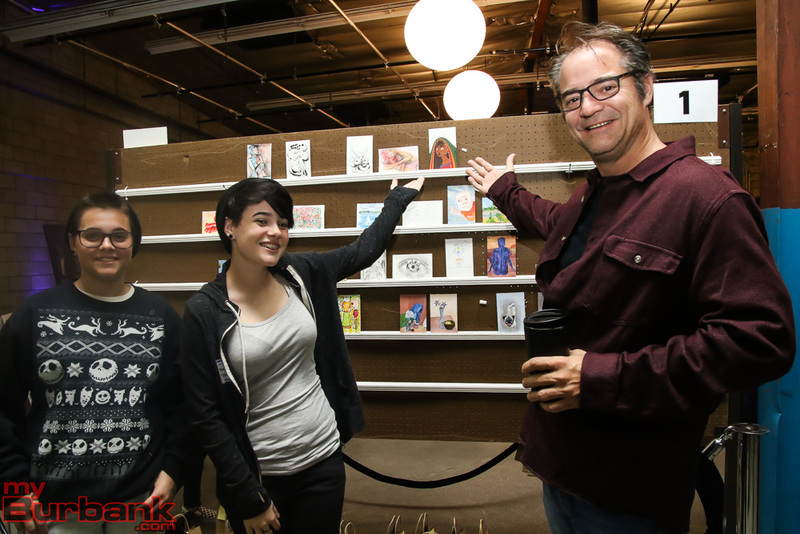 The identities of the creators of the mini masterpieces in The Secret Art Show are hidden from view until a piece is purchased. 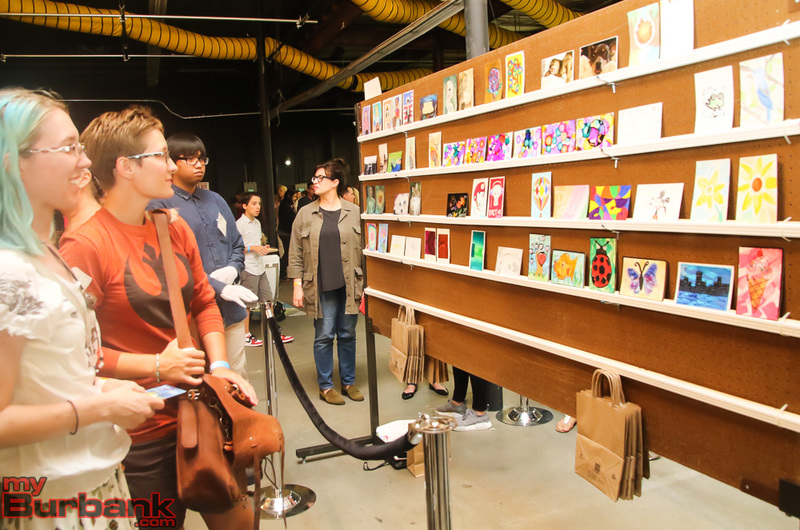 White-gloved attendants at the tall shelves laden with art assist event goers with their selections. 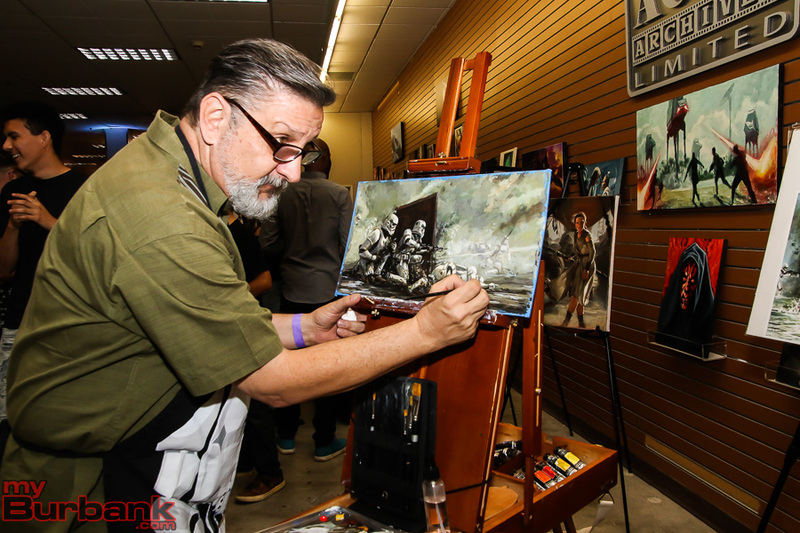 Music and live art demonstrations, in addition to a hosted reception with wine, craft beer and hors d’oeuvres, add to the atmosphere. 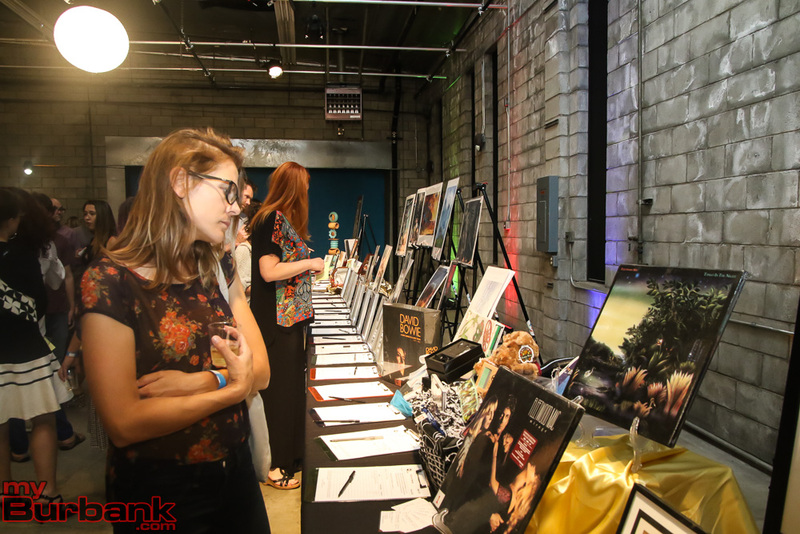 A silent auction of approximately 40 items including box sets of music, handcrafted sculpture, prints from ACME ARCHIVES, Ltd., book collections, tickets to The Broad’s Yayoi Kusama: Infinity Mirrors and more will also be held during the event. 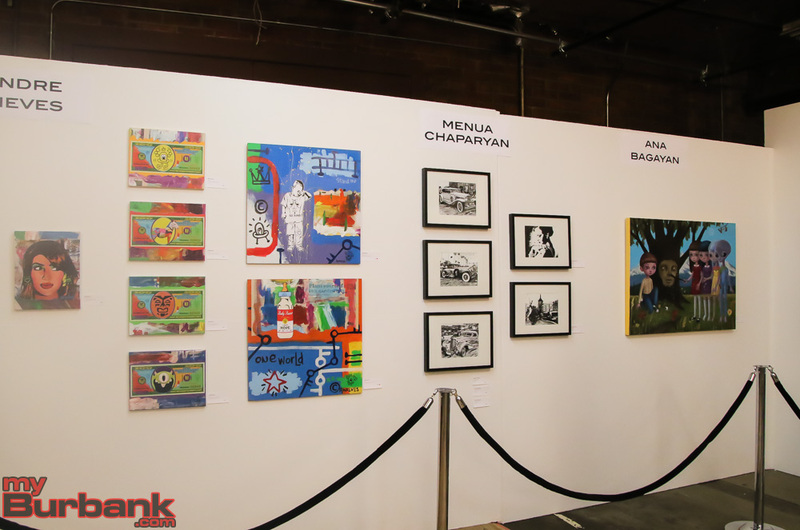 All proceeds from The Secret Art Show and a portion of the proceeds from The Artists Salon benefit the Burbank Arts For All Foundation, a nonprofit organization whose mission is to ensure every student in Burbank public schools receives a quality arts education as part of their core curriculum. Tickets are $50 VIP for 6:30 p.m. entry. General admission, at 7:00 p.m., is $10 in advance and $15 at the door. More information on the event can be found here. 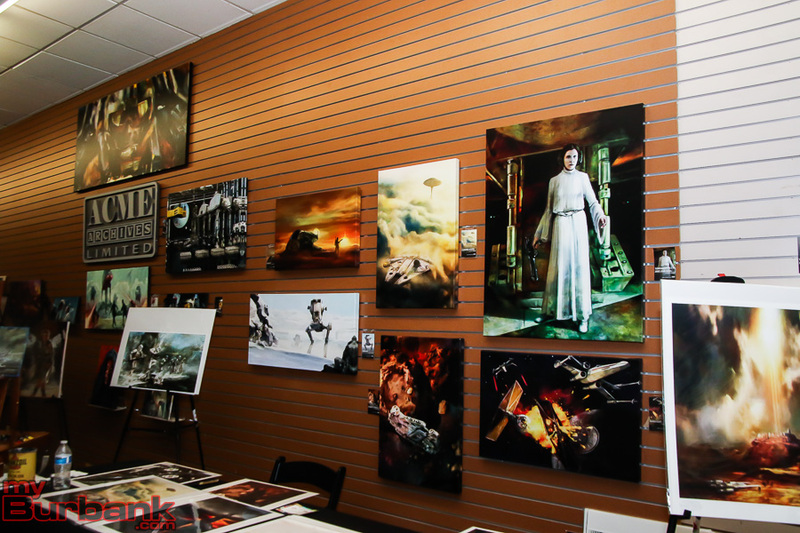 The Secret Art Show will be held at ATB Studios, located at 157 W Providencia Ave. in Burbank. 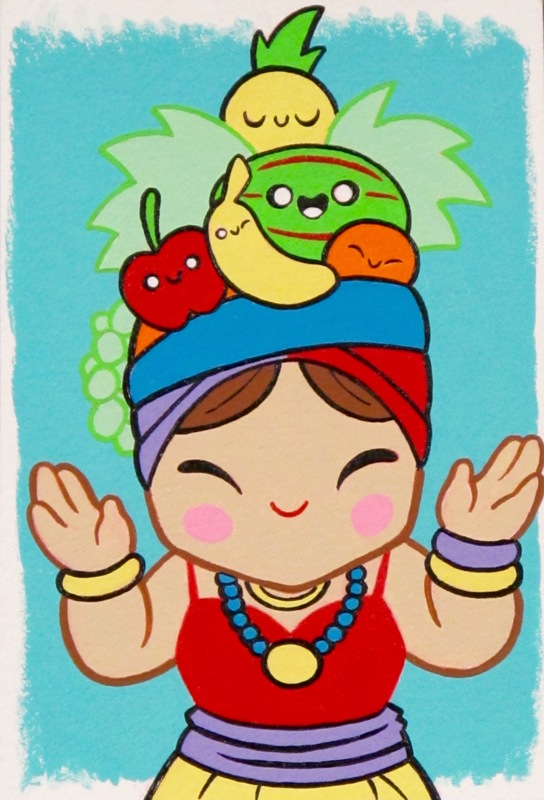 This entry was posted in Events, News, Schools and tagged Burbank Arts for All Foundation, secret art show 2017 on September 21, 2017 by Lisa Paredes.